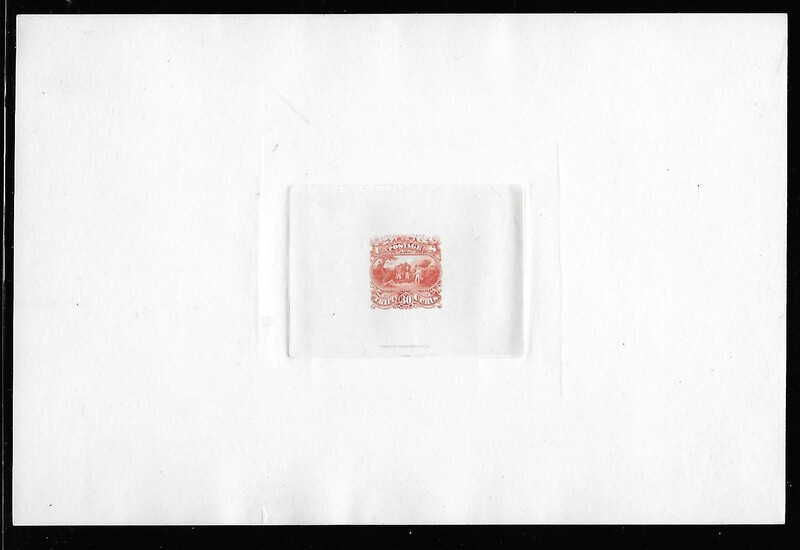 You may order any of the essays and proofs from our stock quite easily using our four different methods of placing your order. 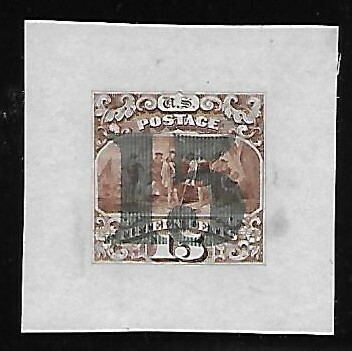 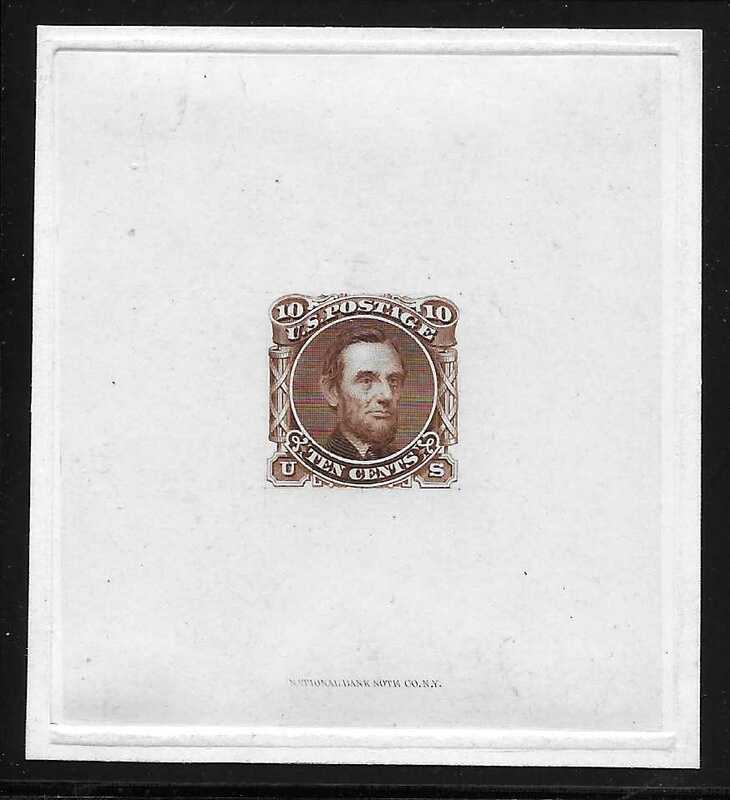 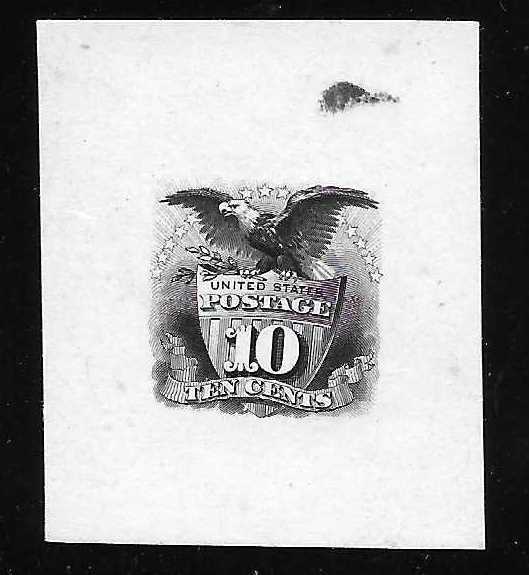 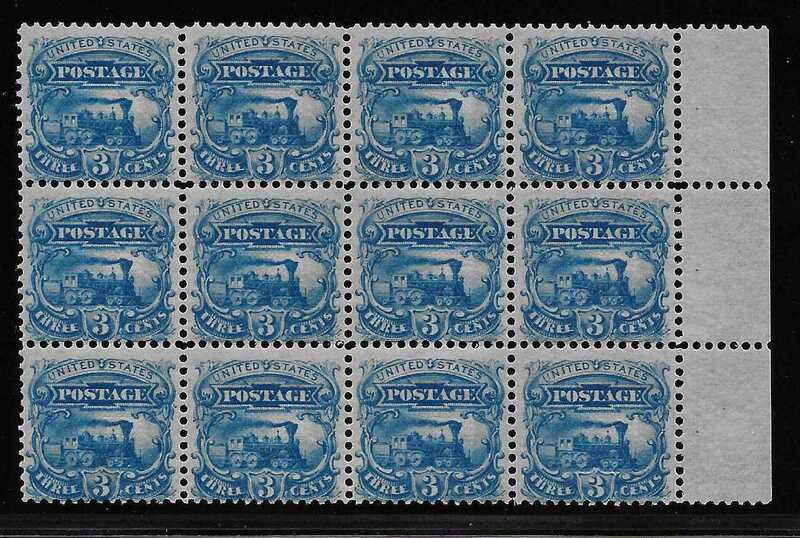 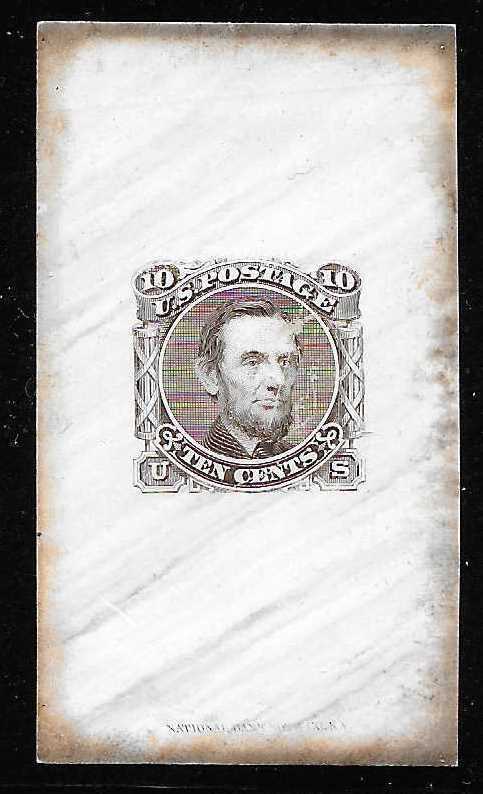 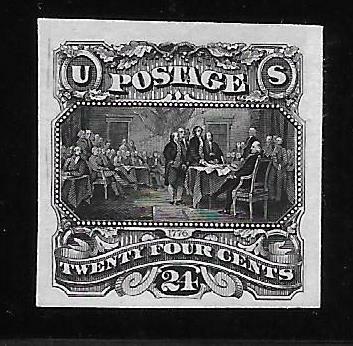 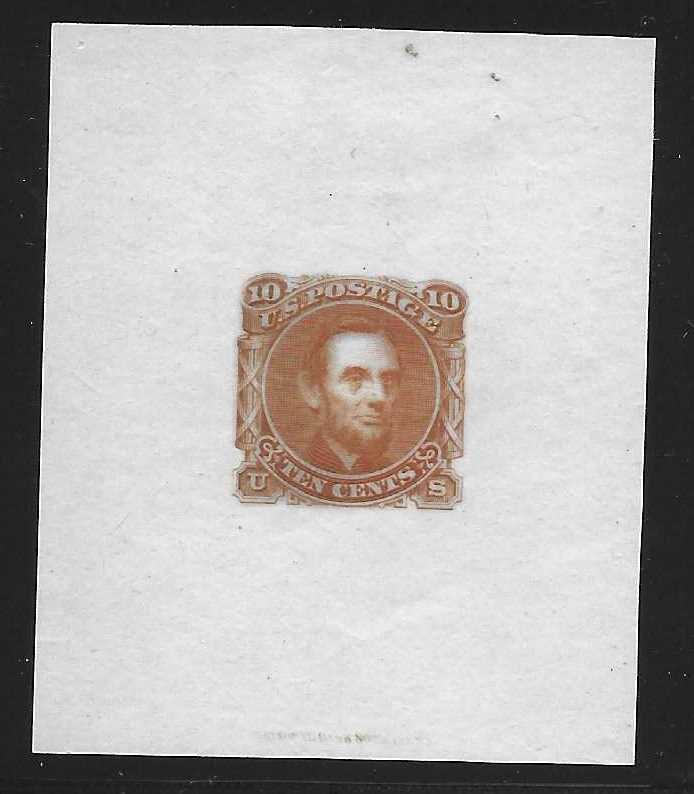 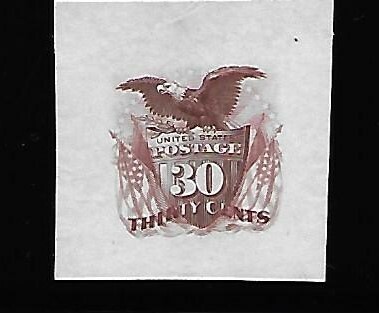 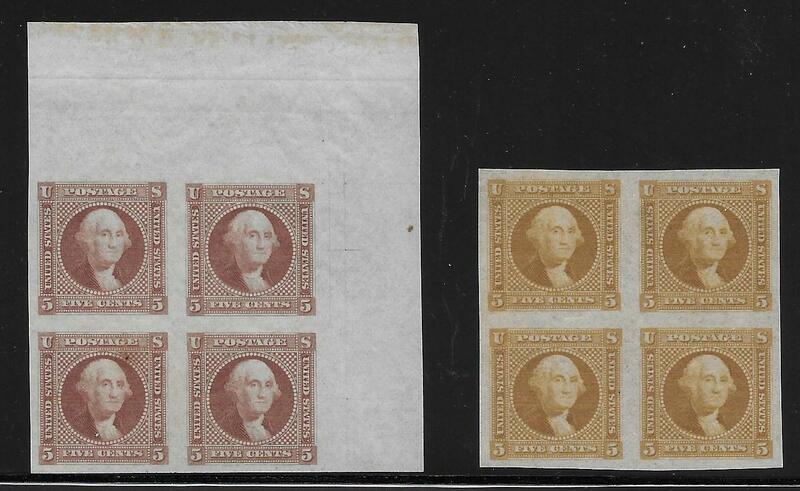 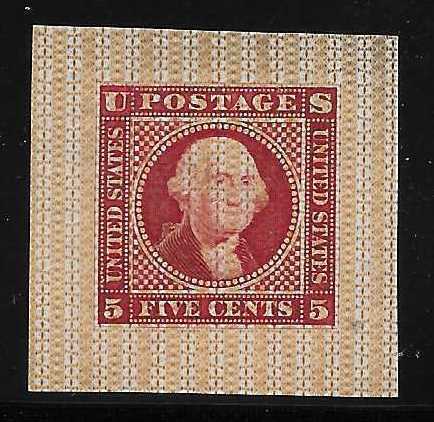 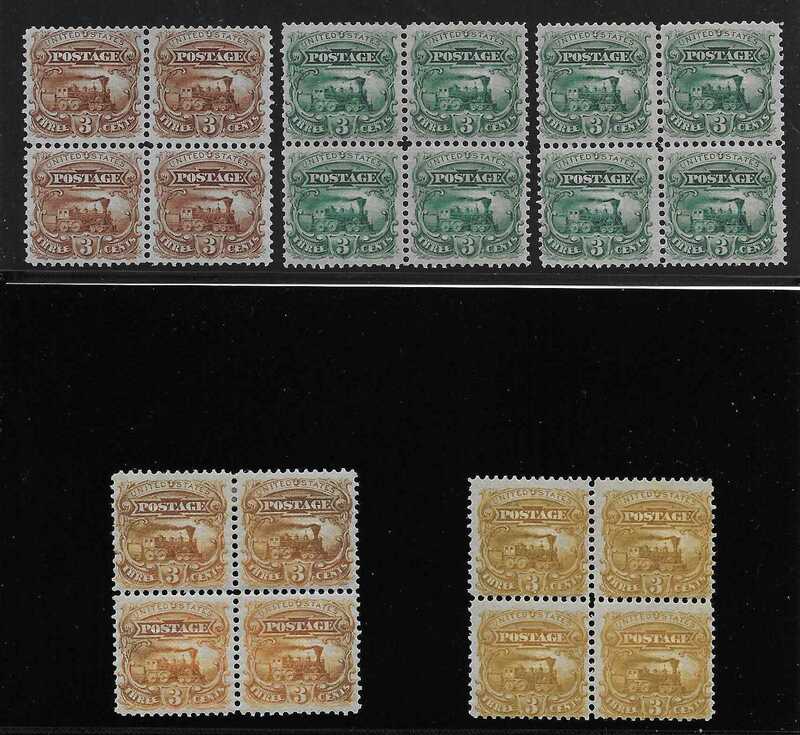 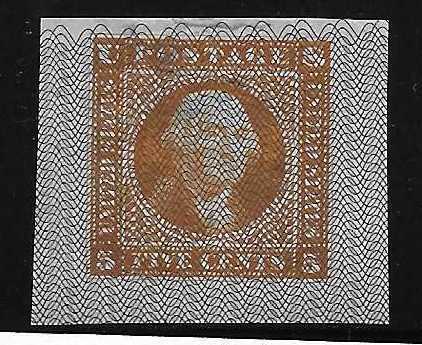 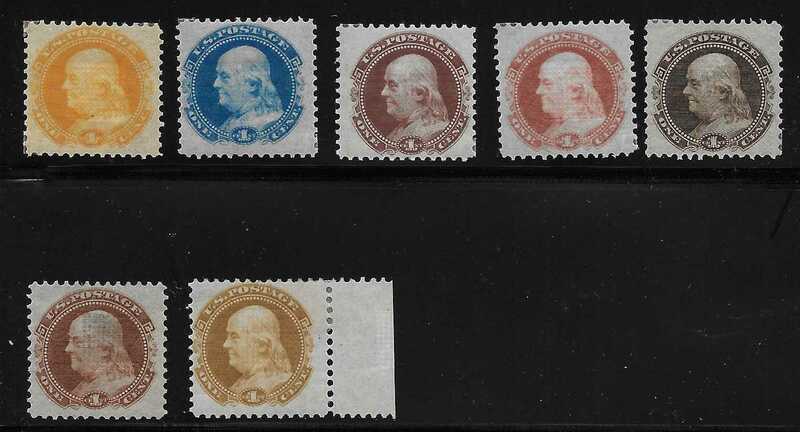 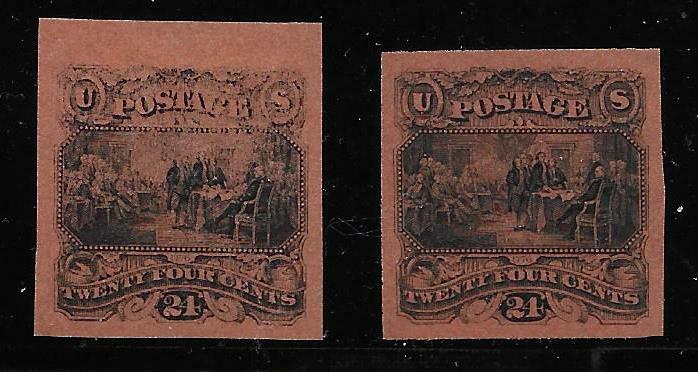 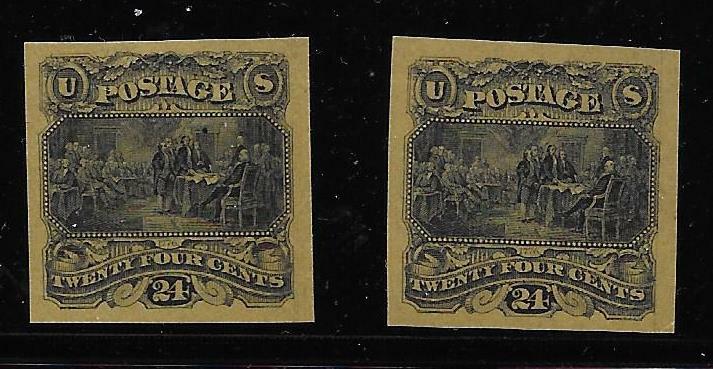 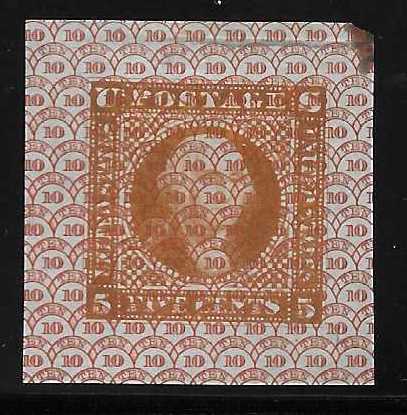 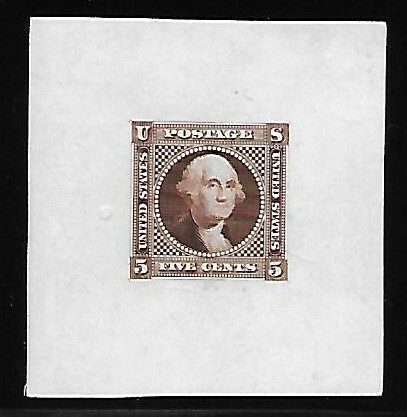 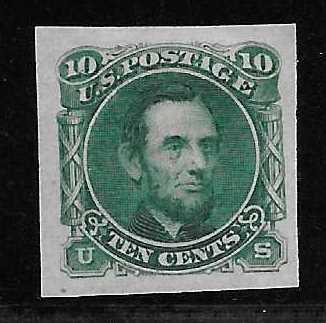 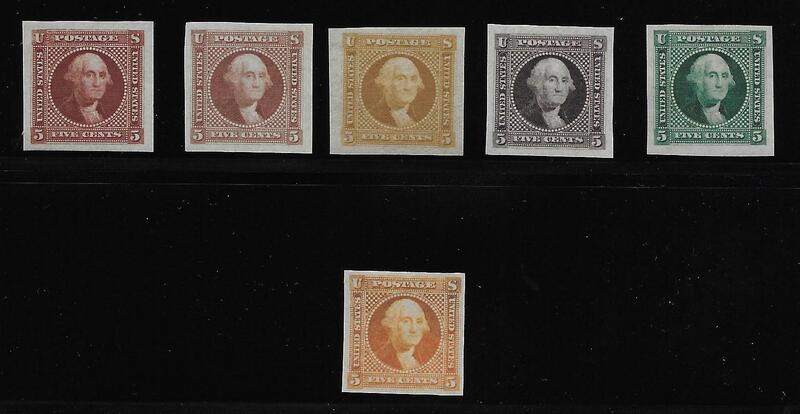 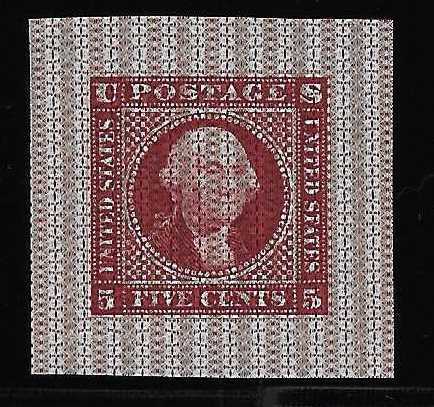 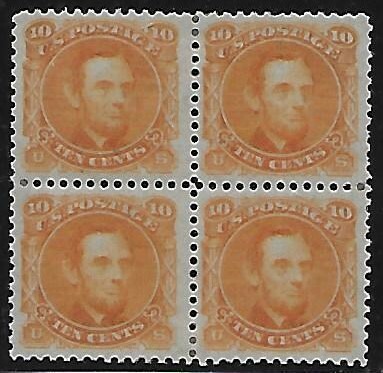 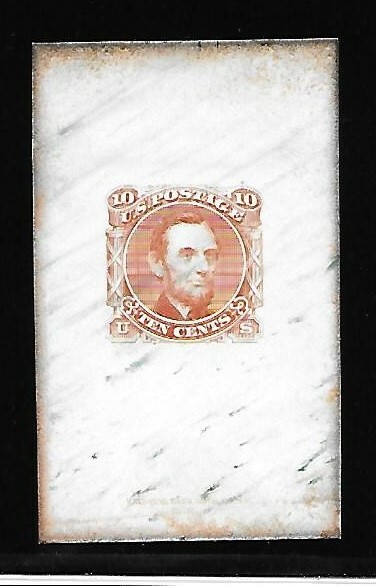 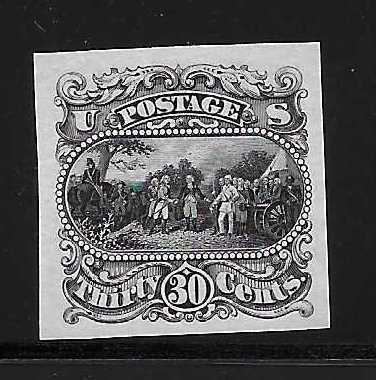 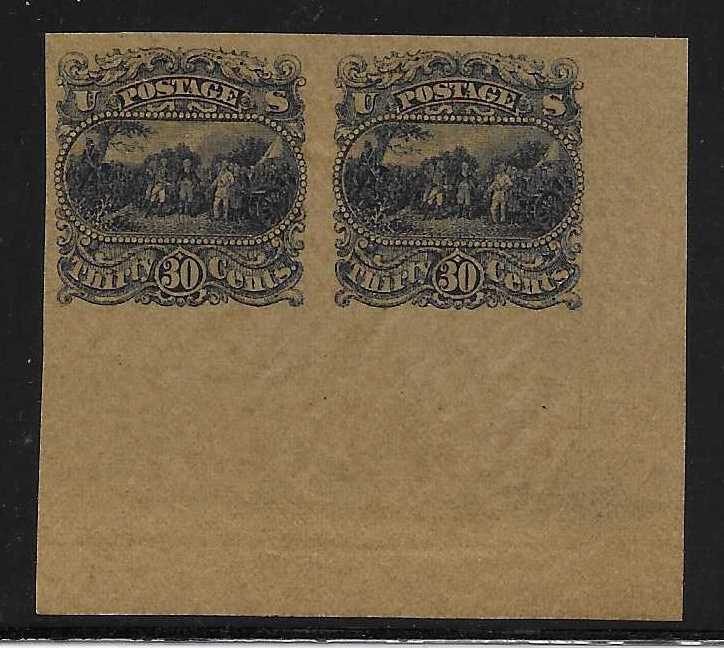 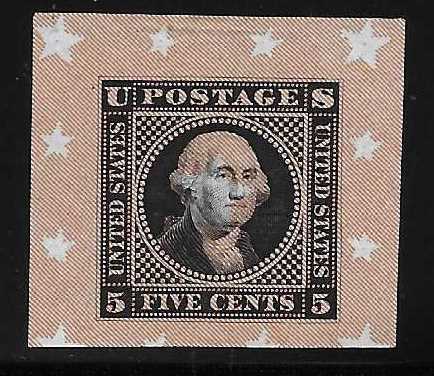 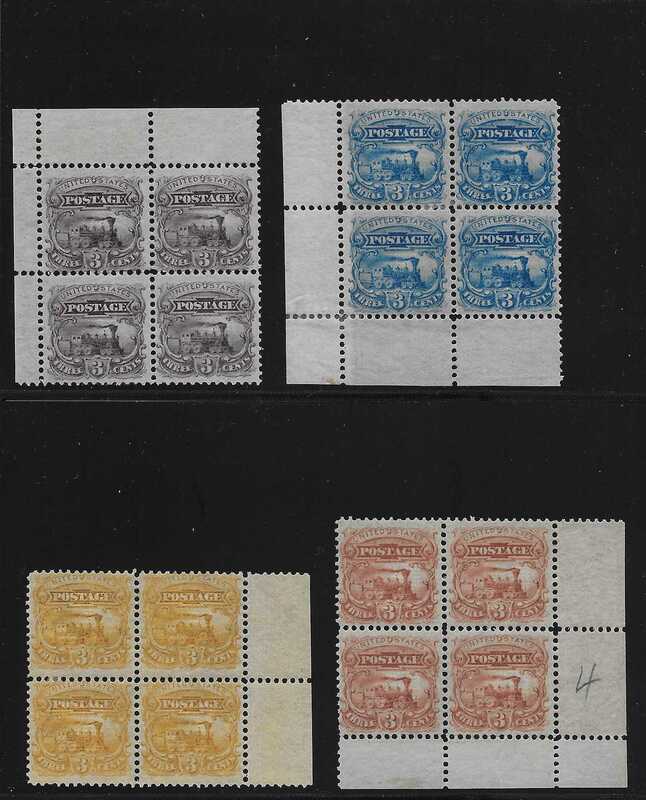 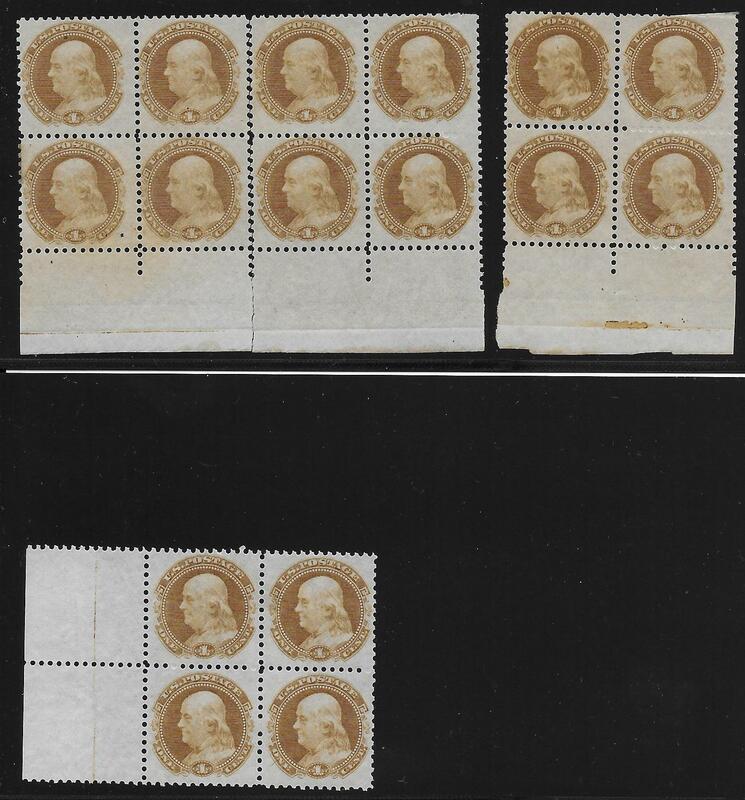 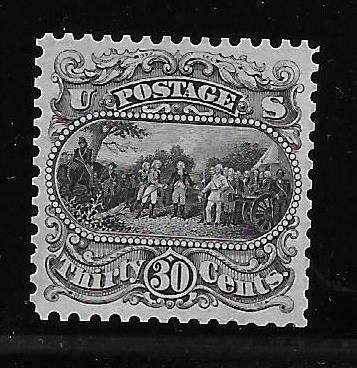 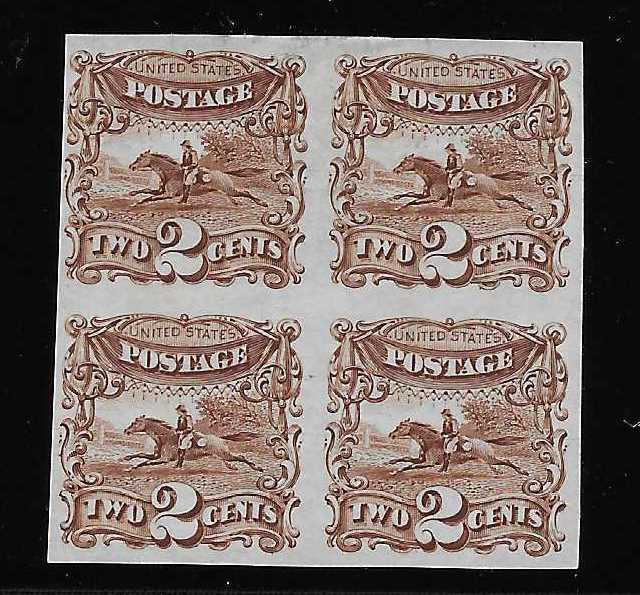 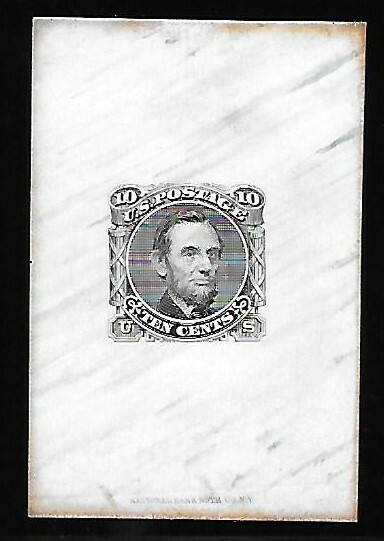 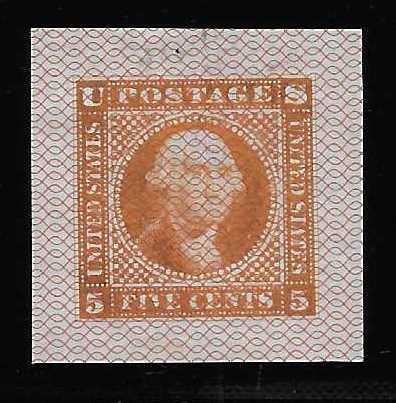 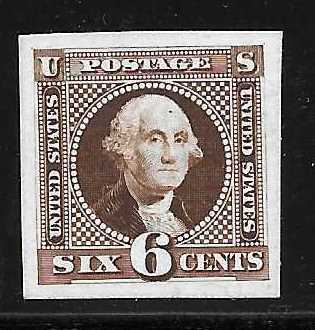 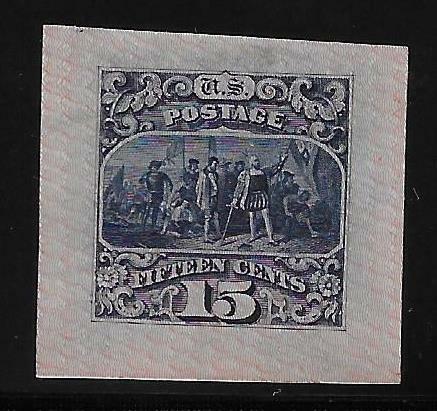 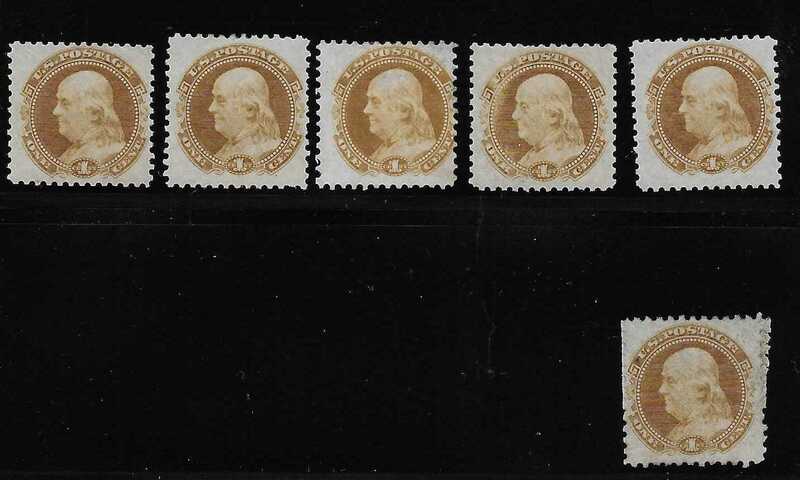 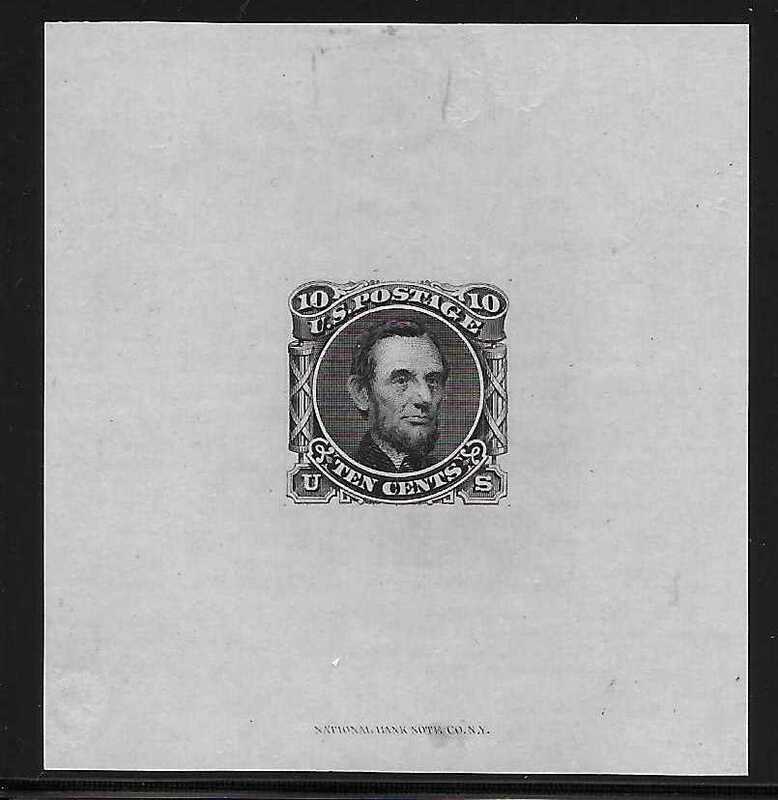 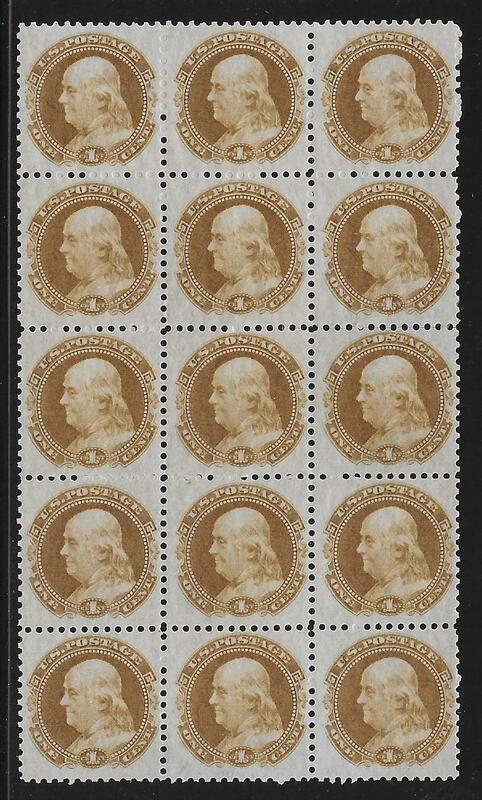 3c Locomotive plate essays on stamp paper, OG, perforated, and grilled 9x9 mm, block of six (black-brown) $300.00, and blocks of four(Black-brown, red-brown, blue, green). 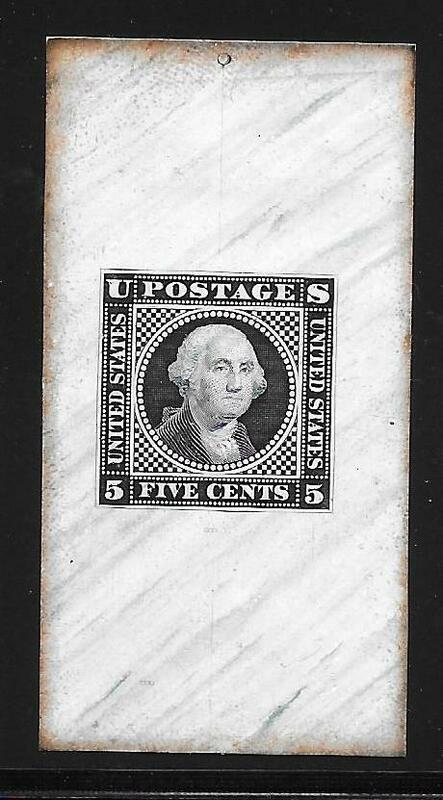 Please order by position. 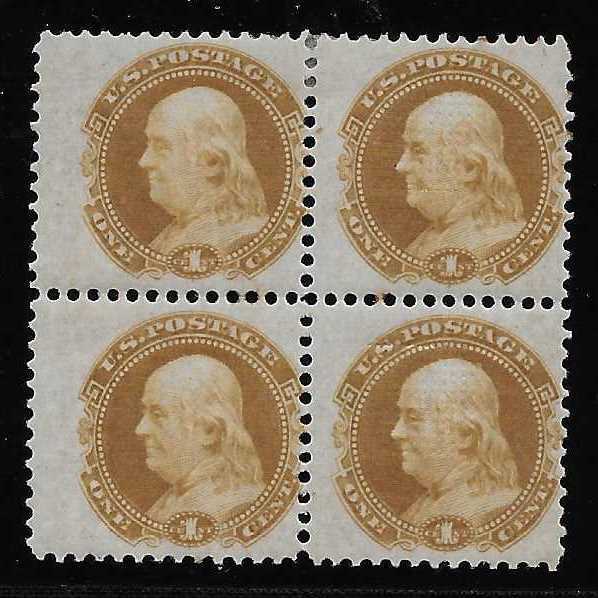 $300.00 each Blocks of four of orange and yellow, $400.00 each. 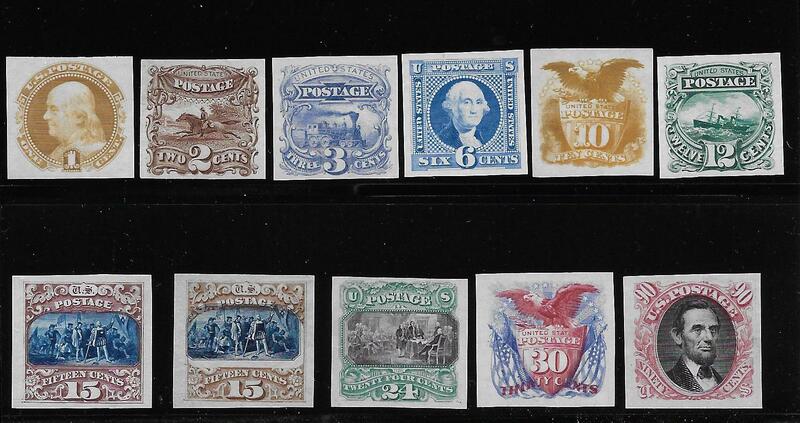 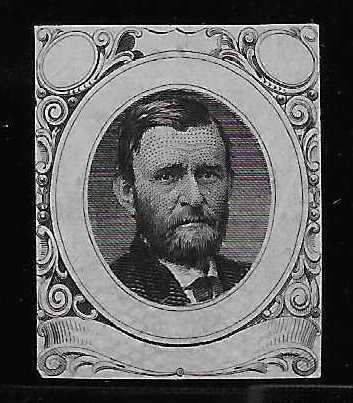 We are pleased to offer a portion of the Robert Young Collection of 1869 Plate Essay Imprint Blocks. 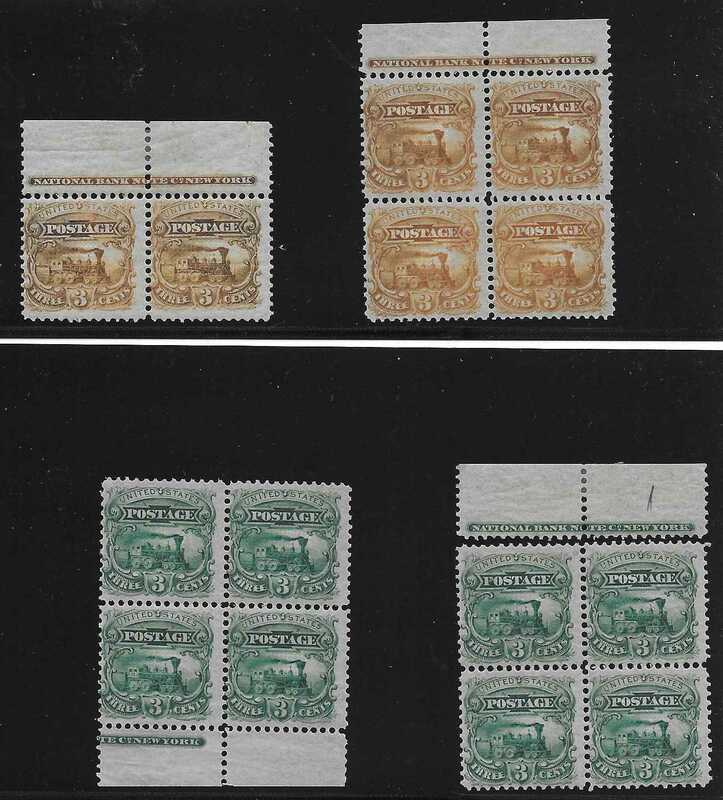 Bob spent over 30 years pursuing these blocks. 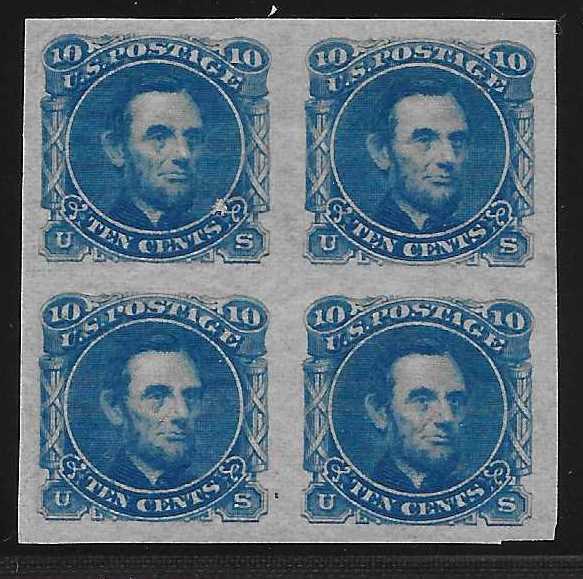 Over the years he was able to create a census of the number of blocks that still exist. 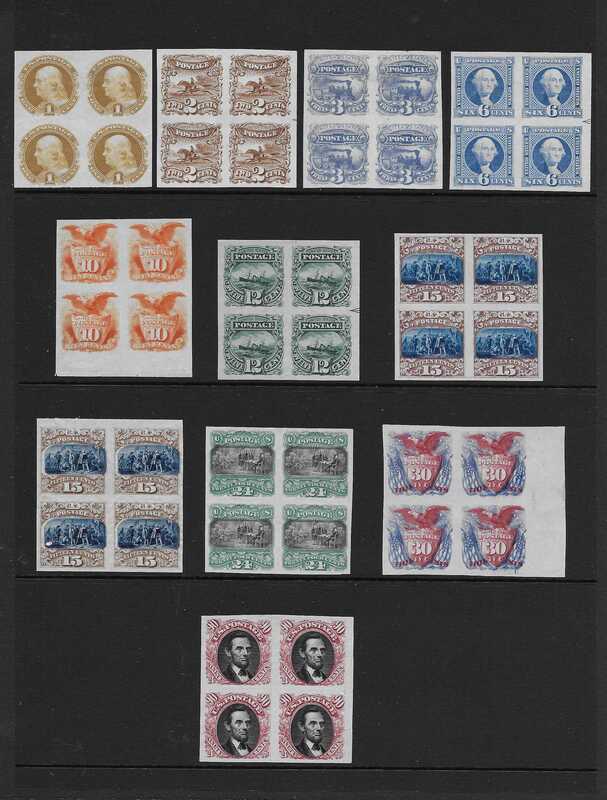 Based on his research Bob was able to deduce the number of sheets of each color that were produced. 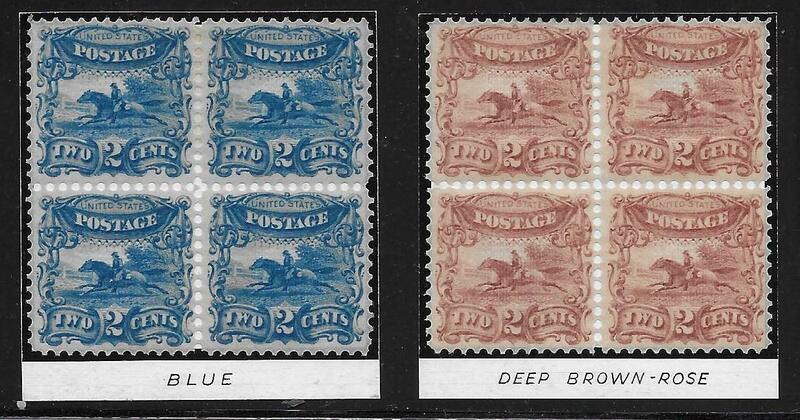 It is hoped that this information will soon be made available to collectors. 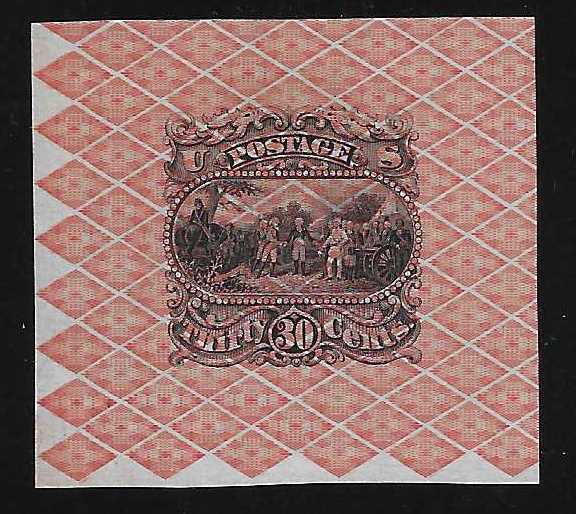 Die essays on thin wove, under printed with various engraved safety paper designs in another color, probably with fugitive ink. 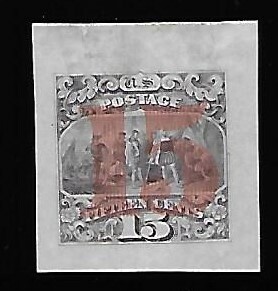 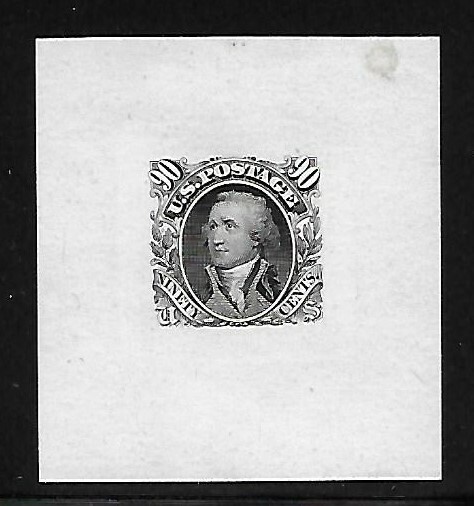 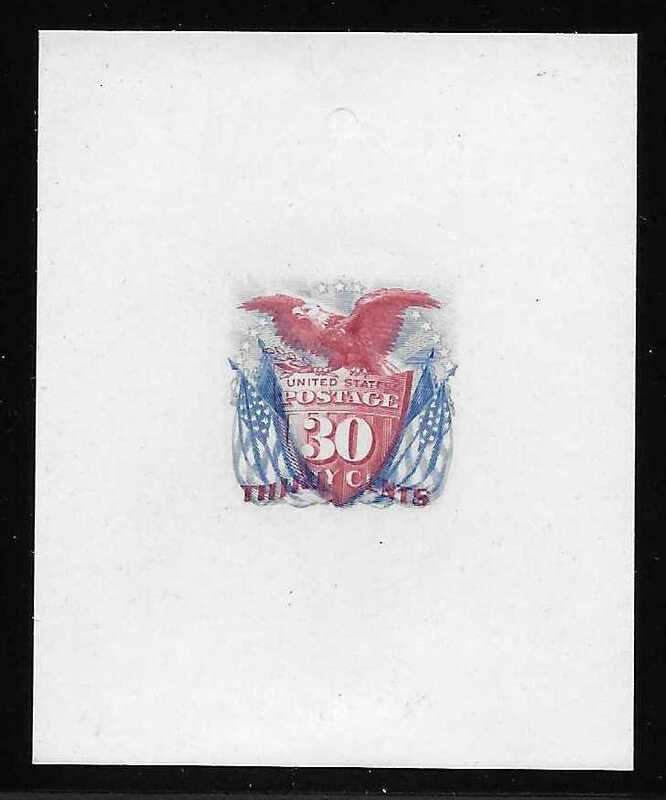 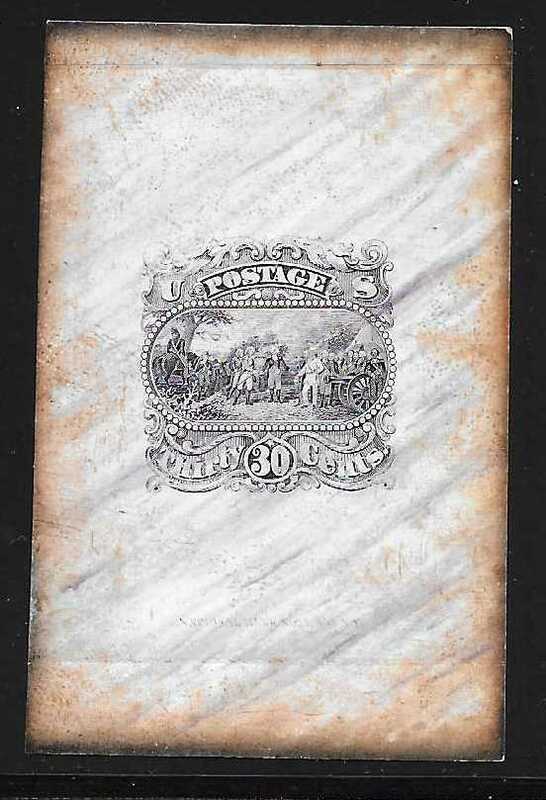 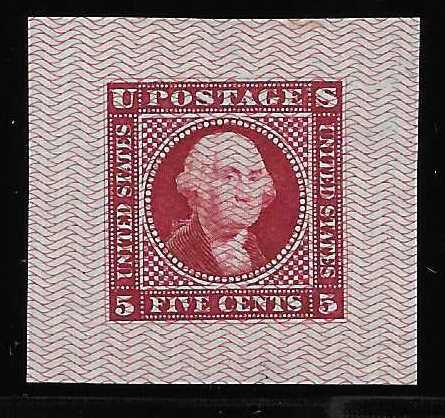 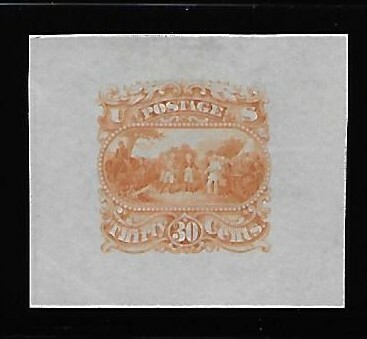 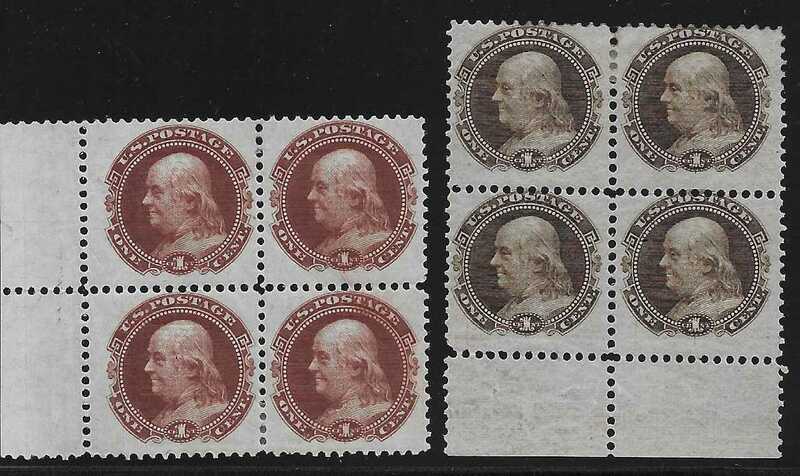 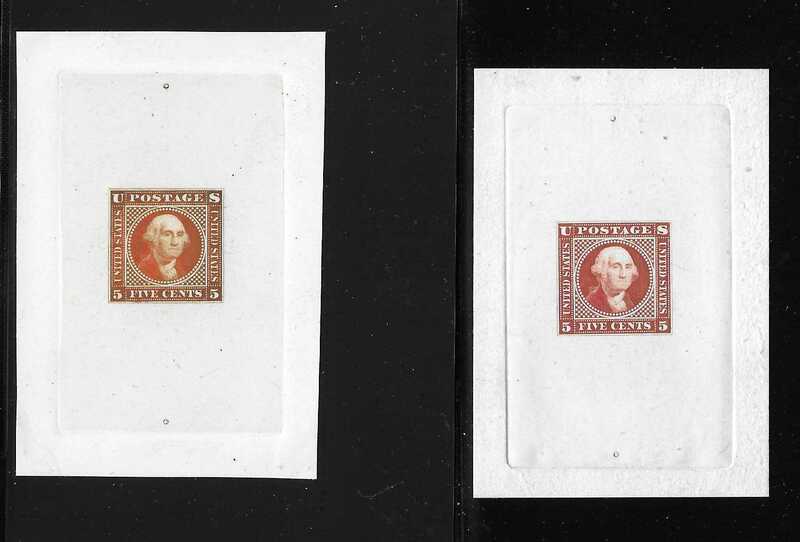 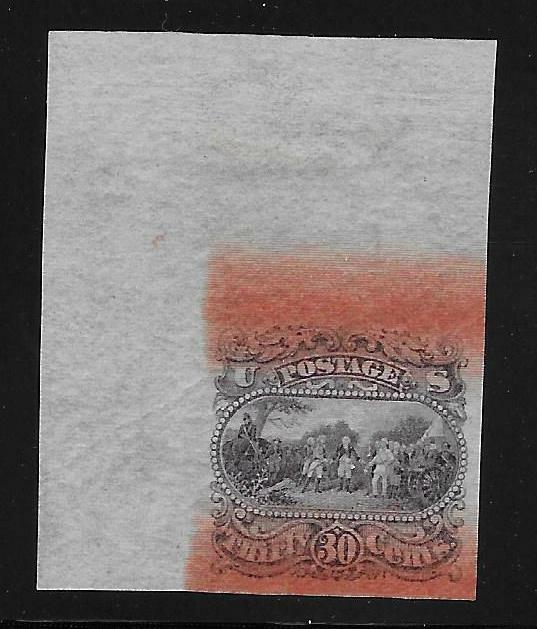 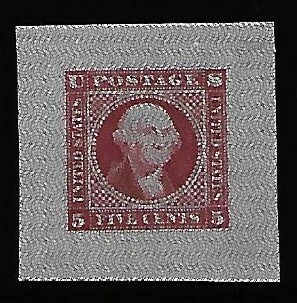 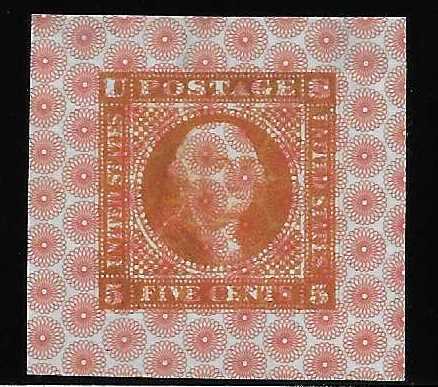 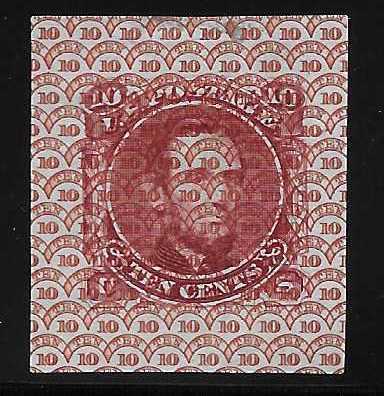 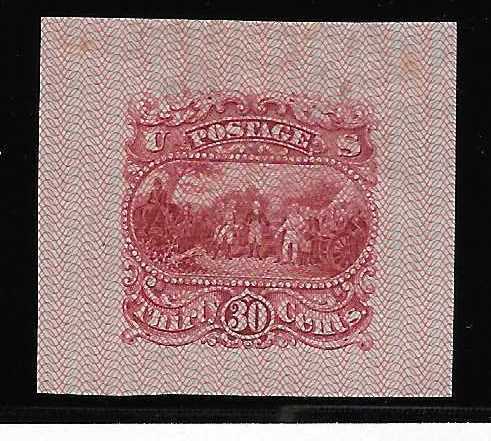 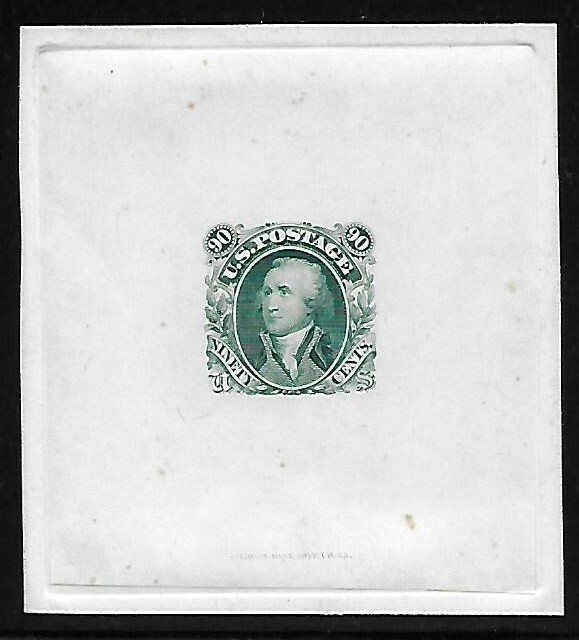 5c Washington, Carmine Die essay on Scarlet Safety Paper. 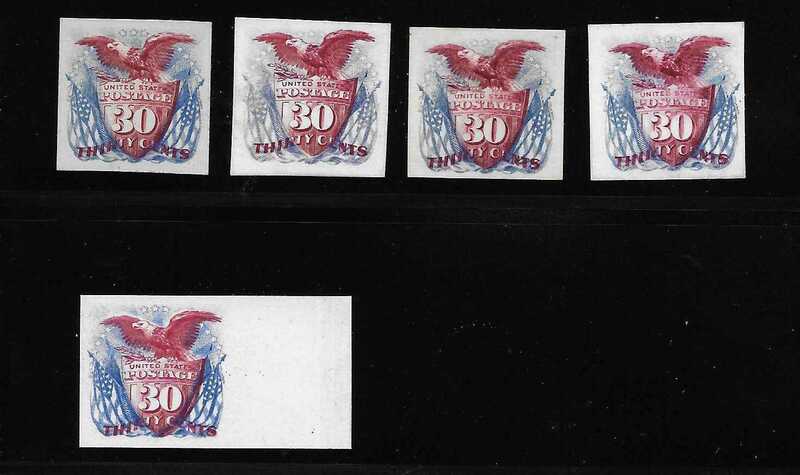 The sheets of 100, of the inverted four high values of the 1869 issue were prepared for and displayed at the Atlanta International Cotton Exposition in 1881. 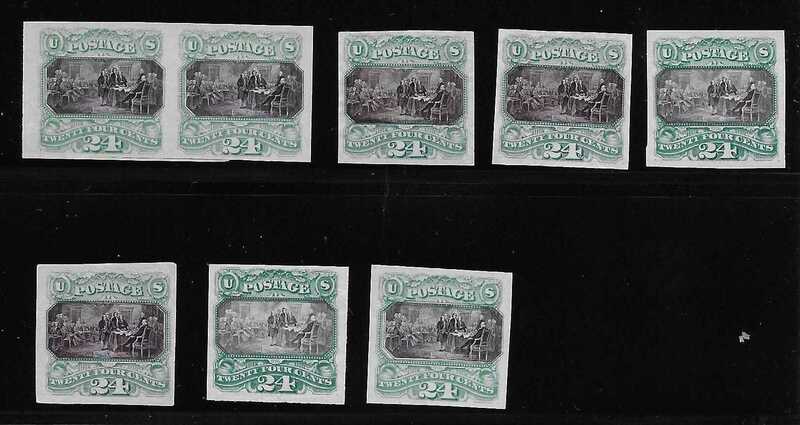 The sheets were somehow acquired by James A. Petrie, MD, of Phillipsburg, New Jersey at the close of the exposition. 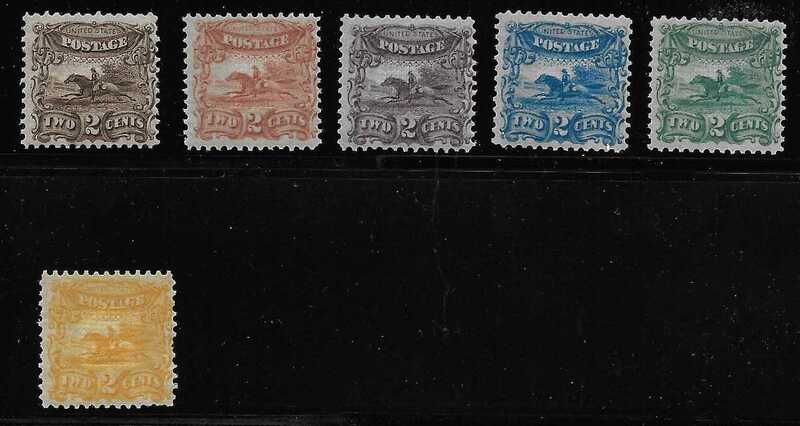 Petrie claimed that he rescued the inverts along with the trial color card proof sheets (A.k.a. 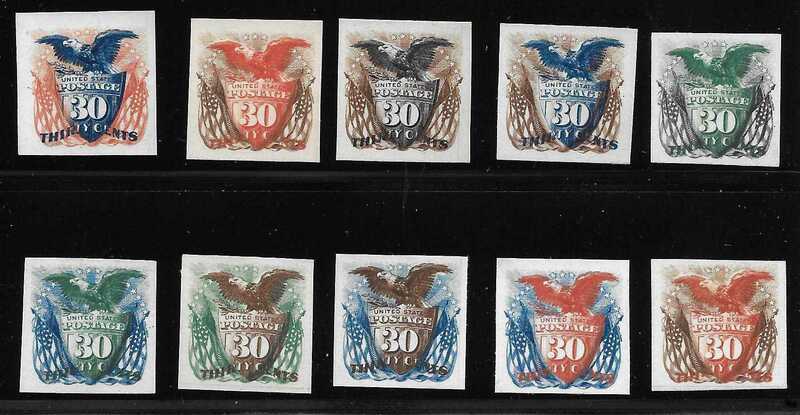 The Atlanta trial color card proofs) just before they were to be burned. 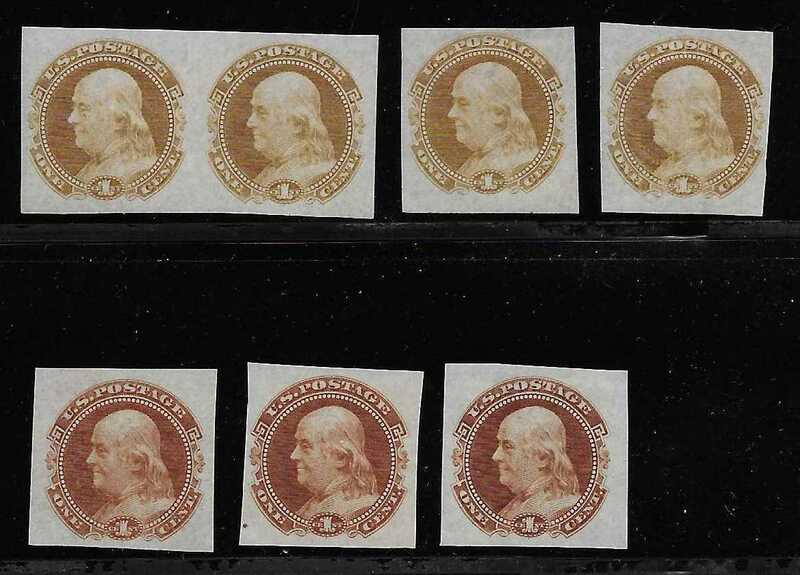 For some years he tried to sell his find and found no takers. 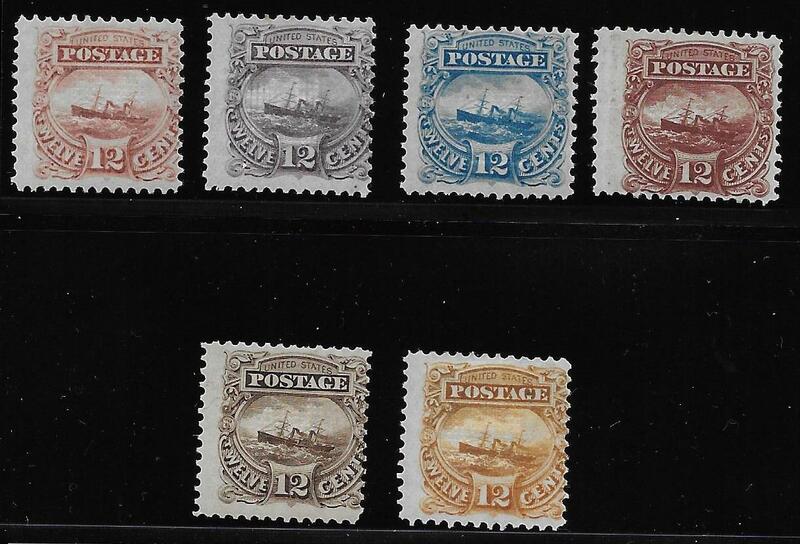 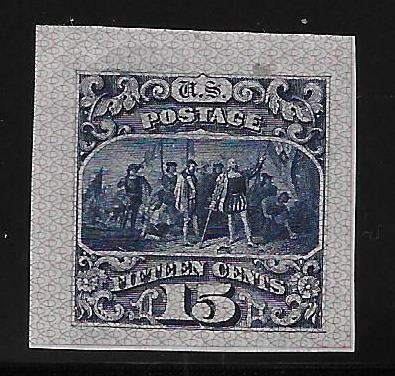 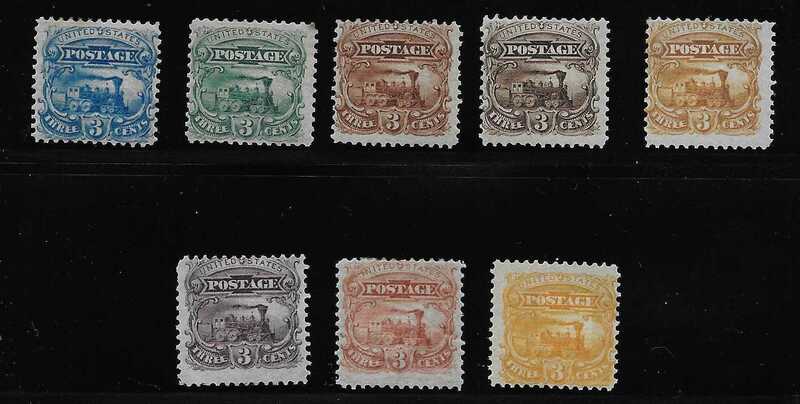 In 1895 he began to advertise them in the philatelic press and again no takers. 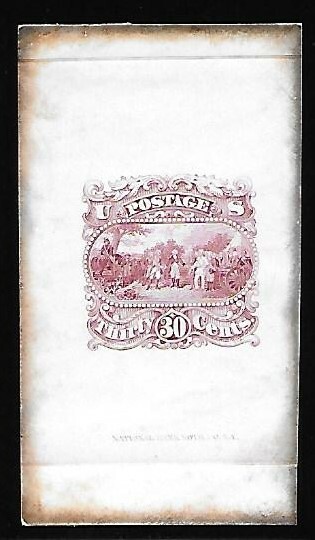 In 1903 he headed to England where he found a willing buyer in the Earl of Crawford. 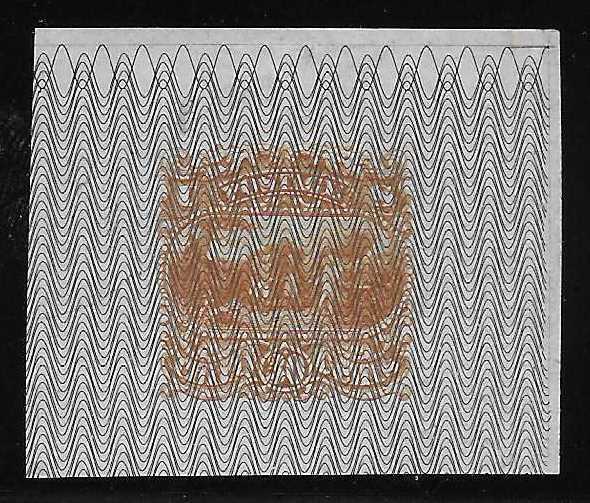 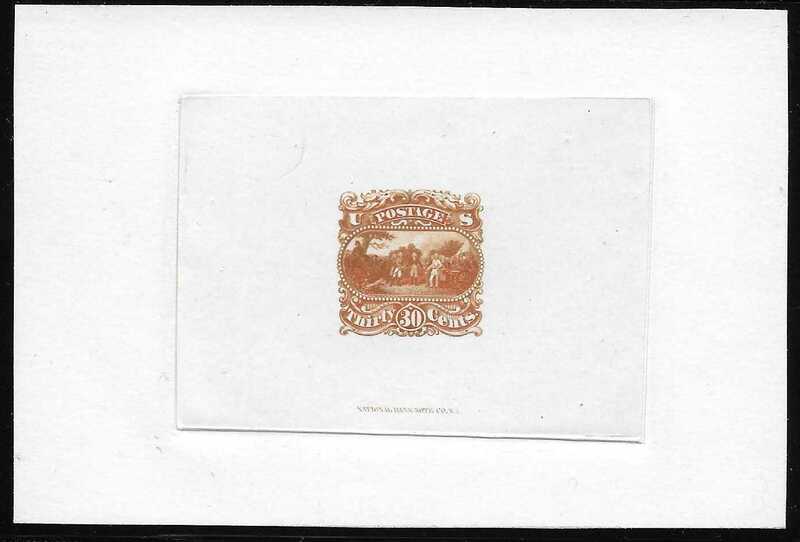 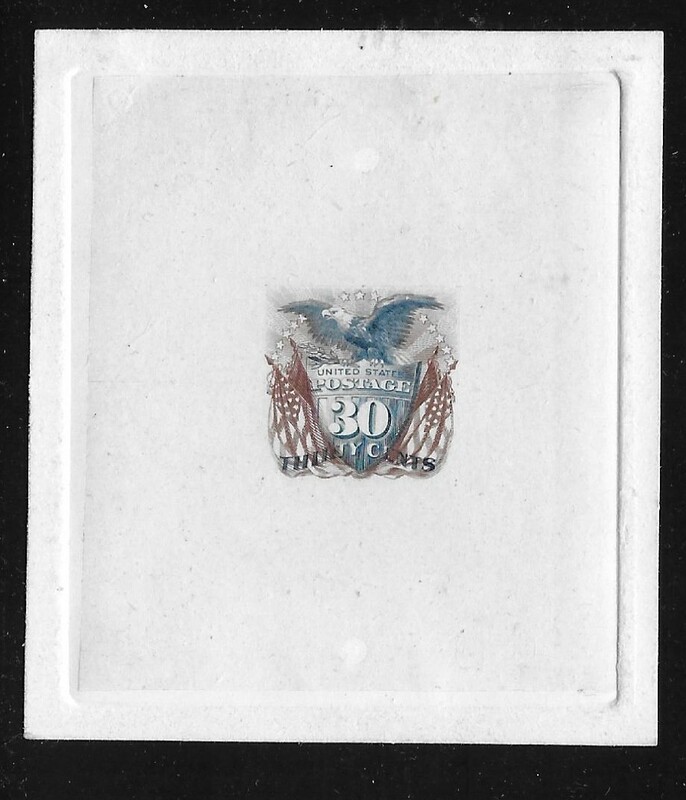 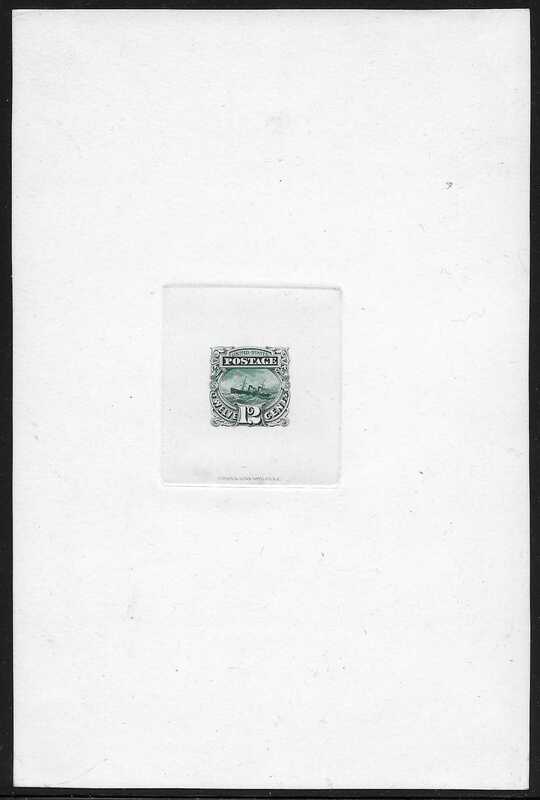 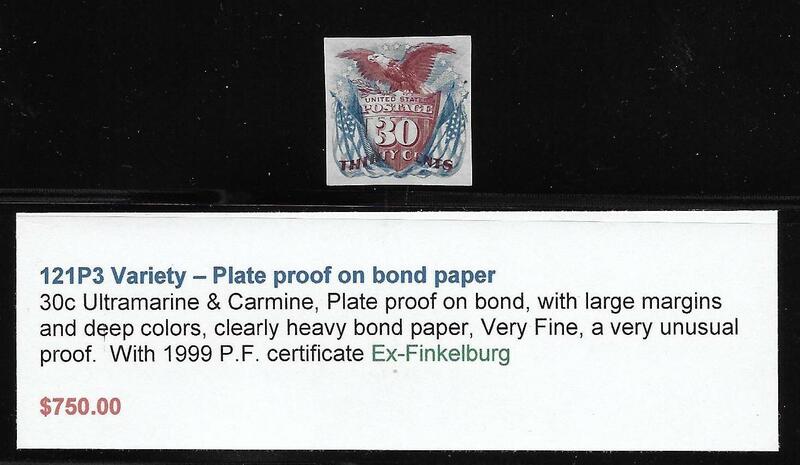 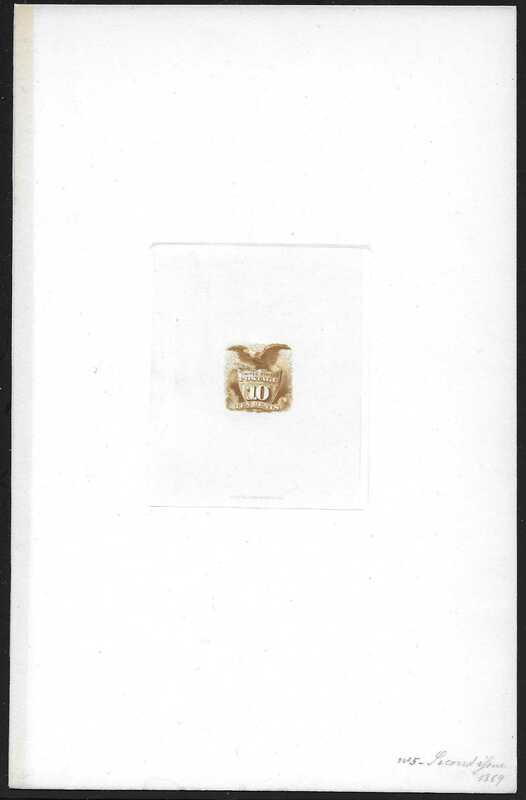 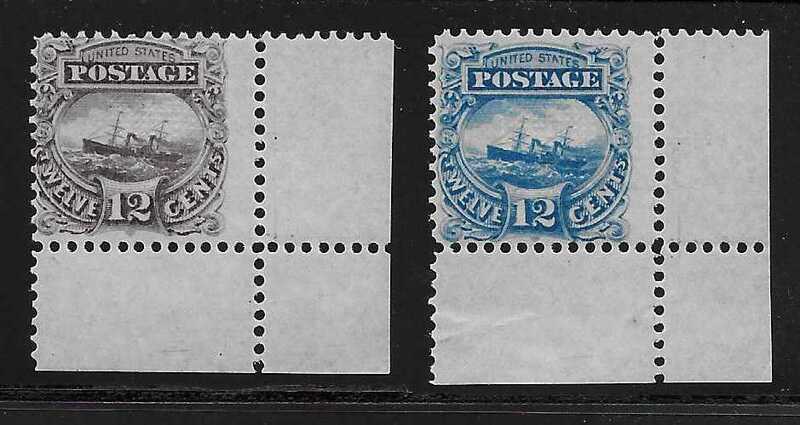 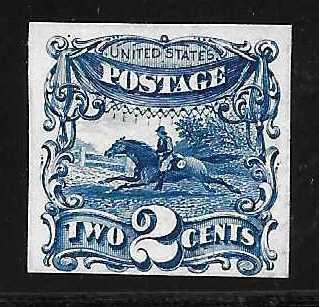 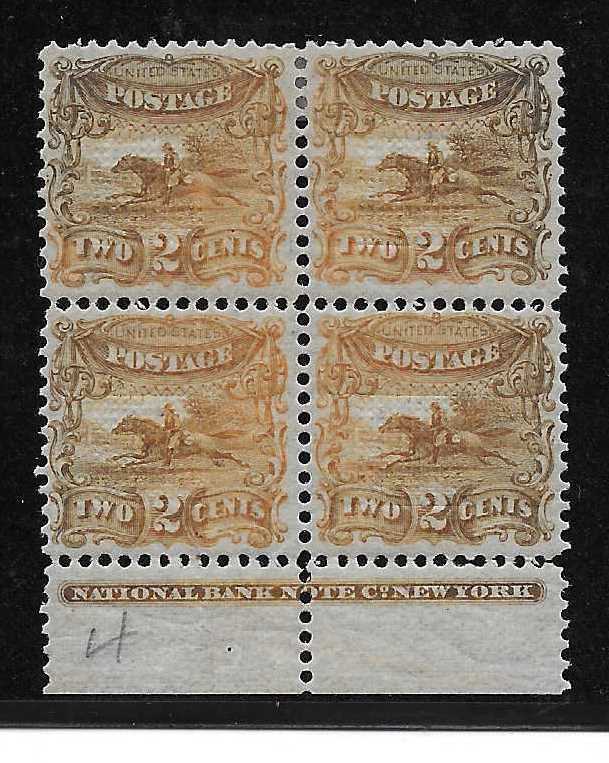 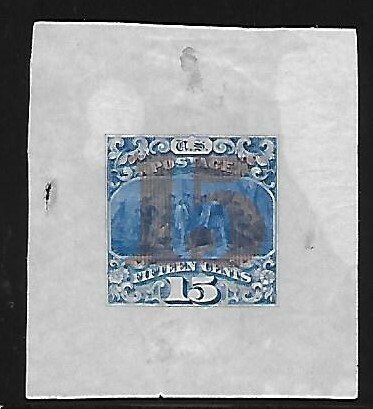 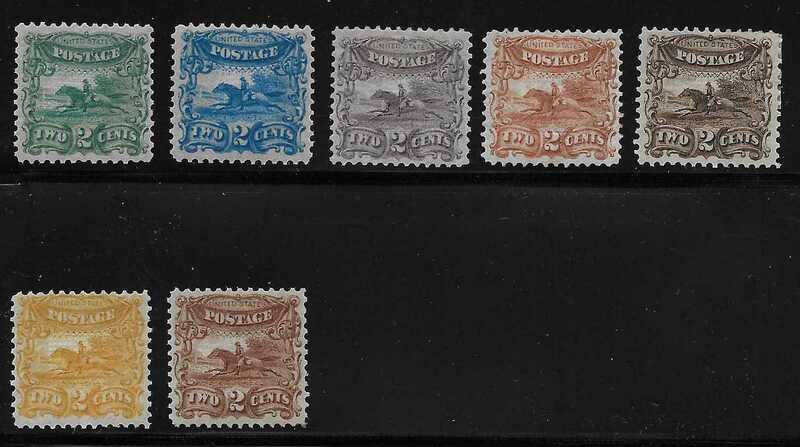 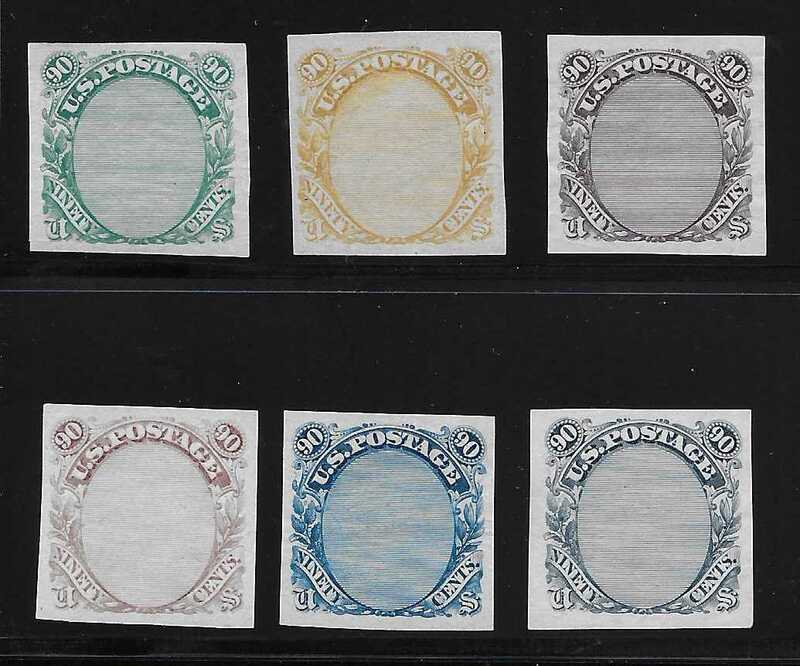 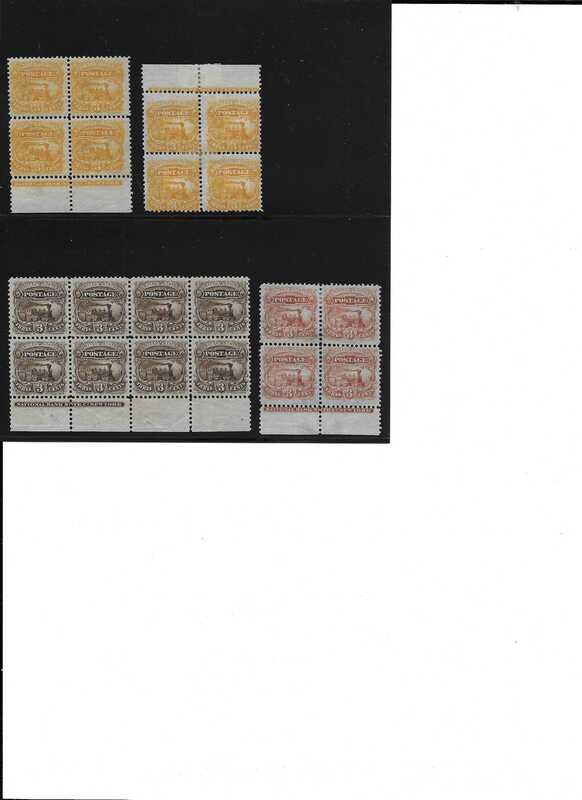 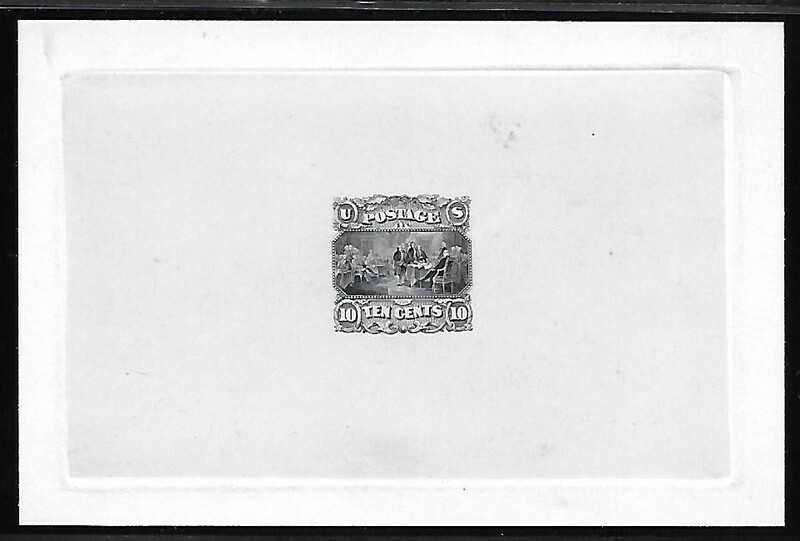 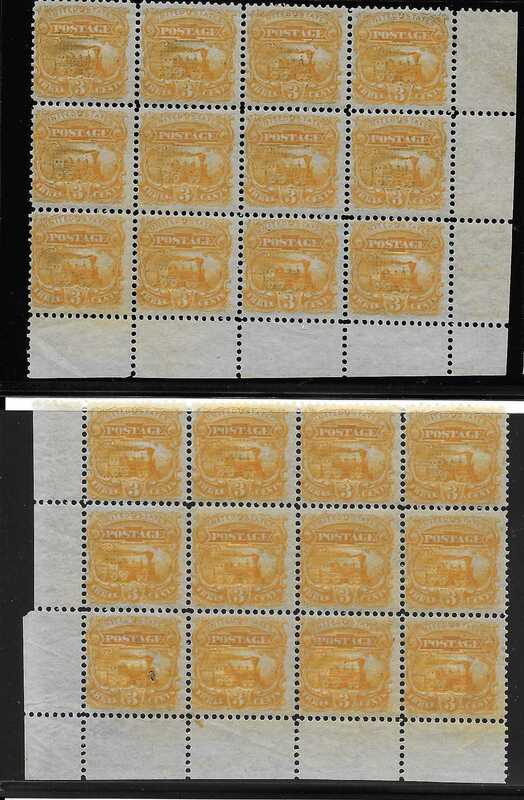 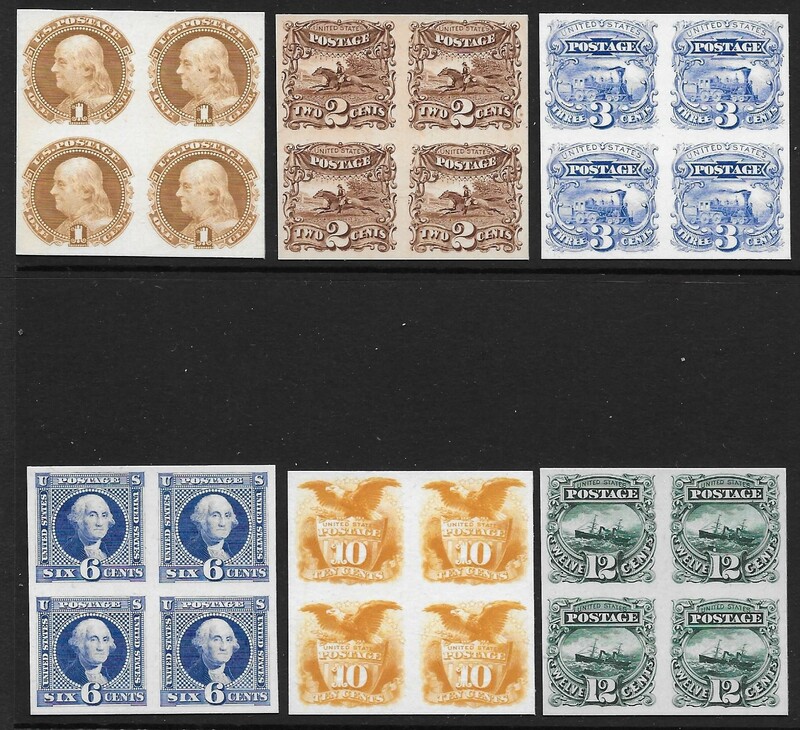 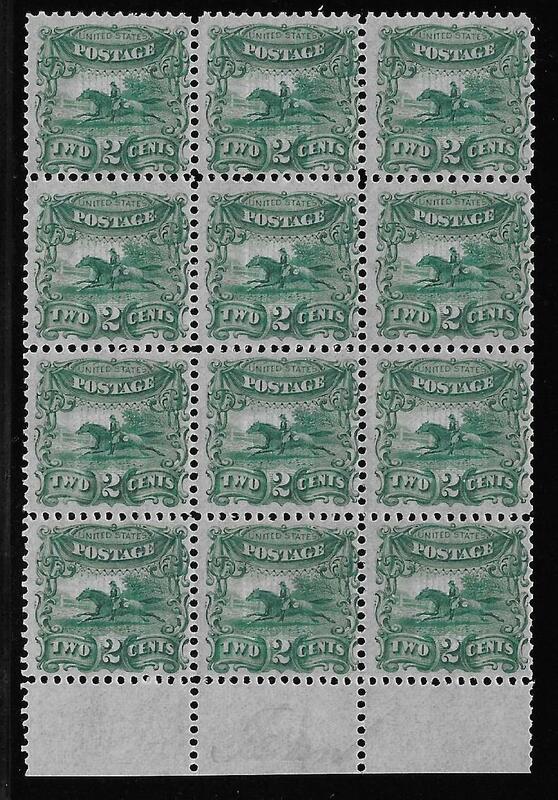 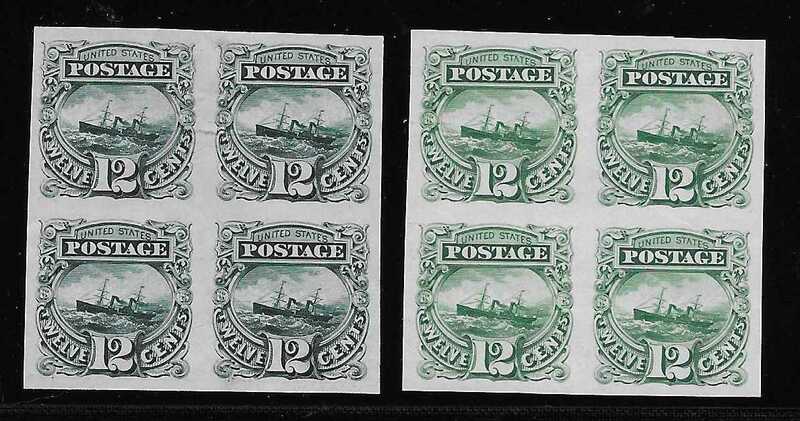 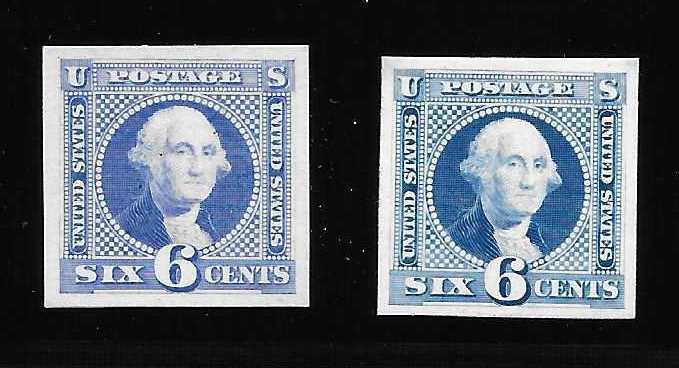 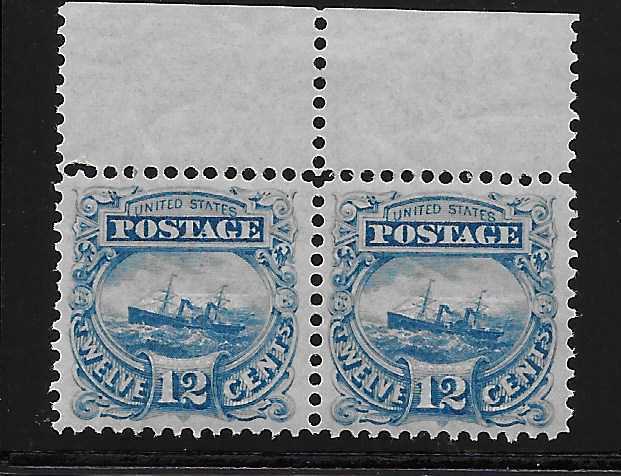 In November of 1915 the Earl�s collection was purchased by John Klemann of the Nassau Stamp Company in New York City. 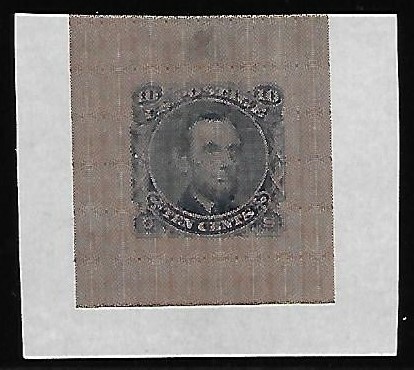 It was Klemann who eventually cut up the sheets. 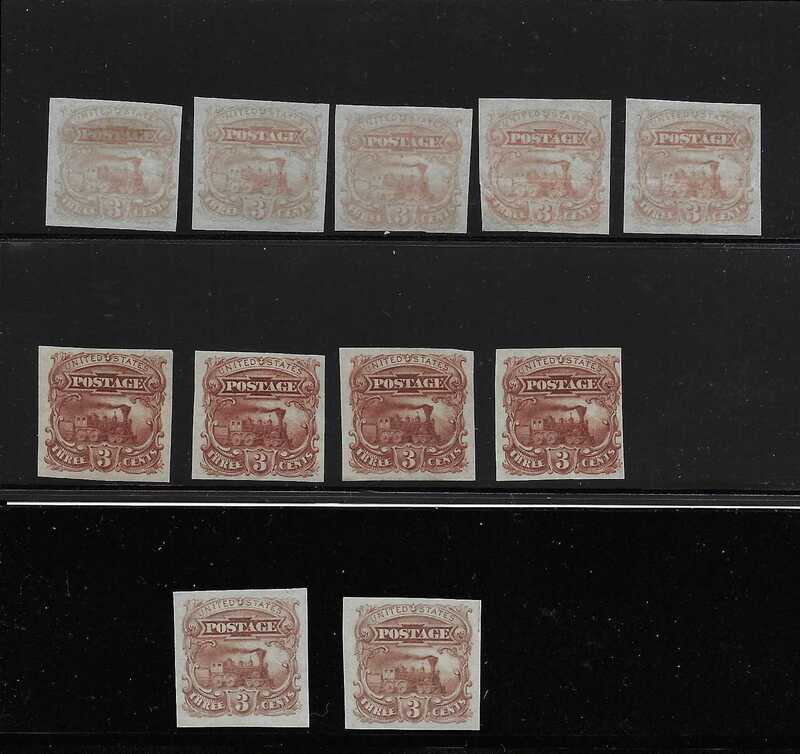 As the story goes, the sheets were cut into top and bottom plate blocks of eight, two sets of blocks of four (I believe that it may have been three sets of blocks, but two sets do still exist) a few pairs, some singles and retained a block of 30 for future division. 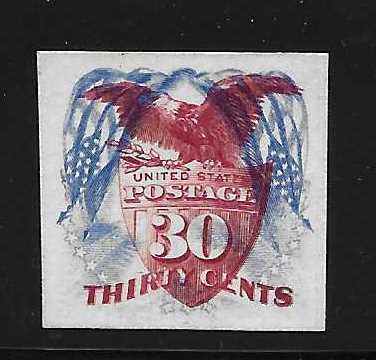 There is no record as to when the blocks of 30 were cut up. 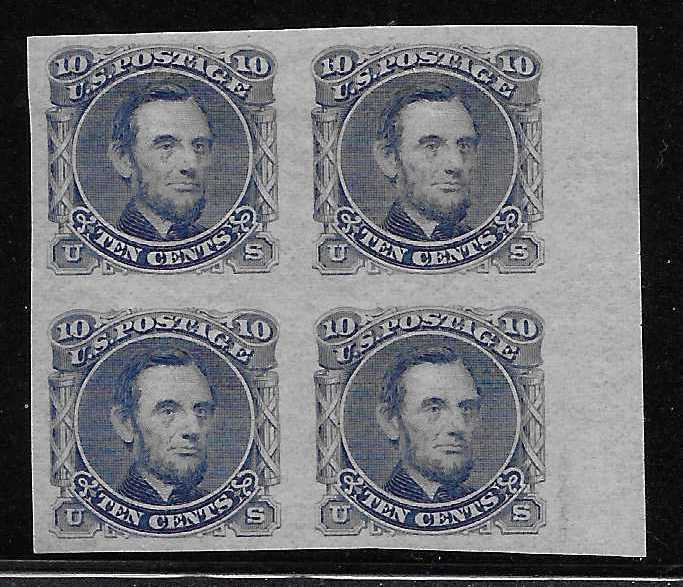 However we do know that one of the twenty-four cent plate blocks of eight was cut in half leaving only one true set. 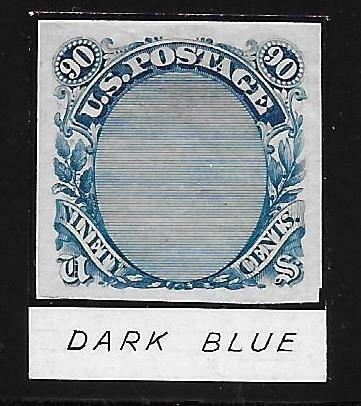 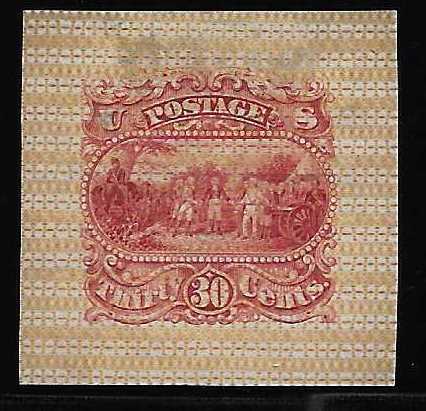 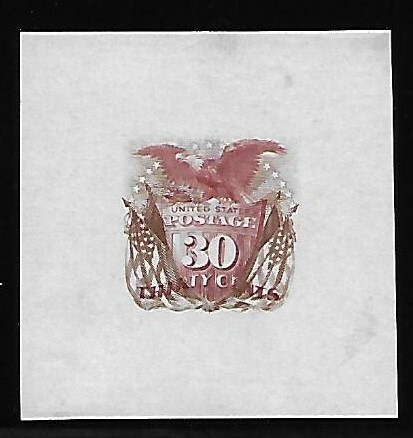 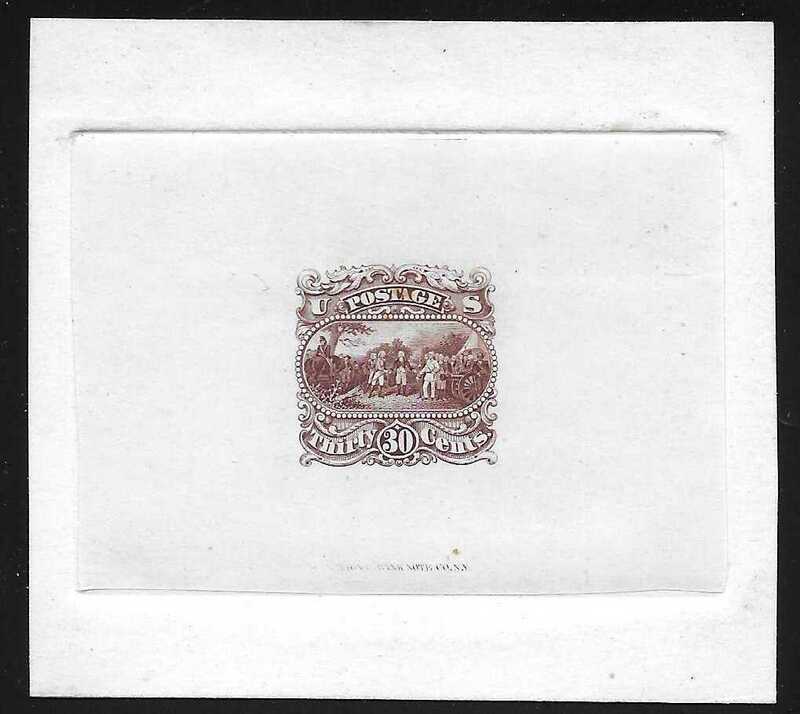 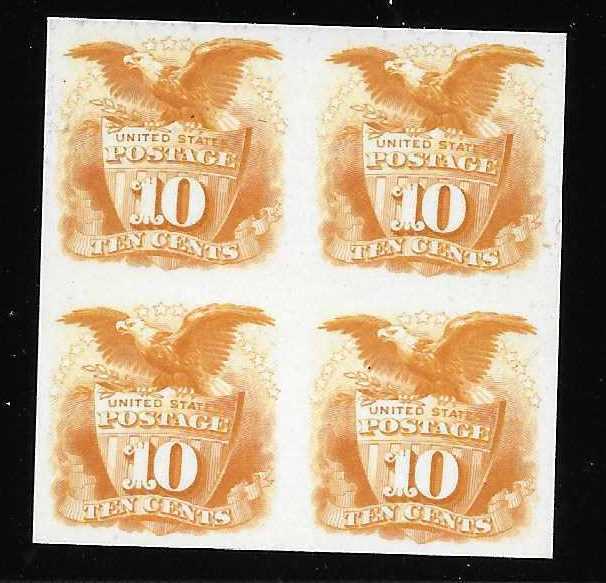 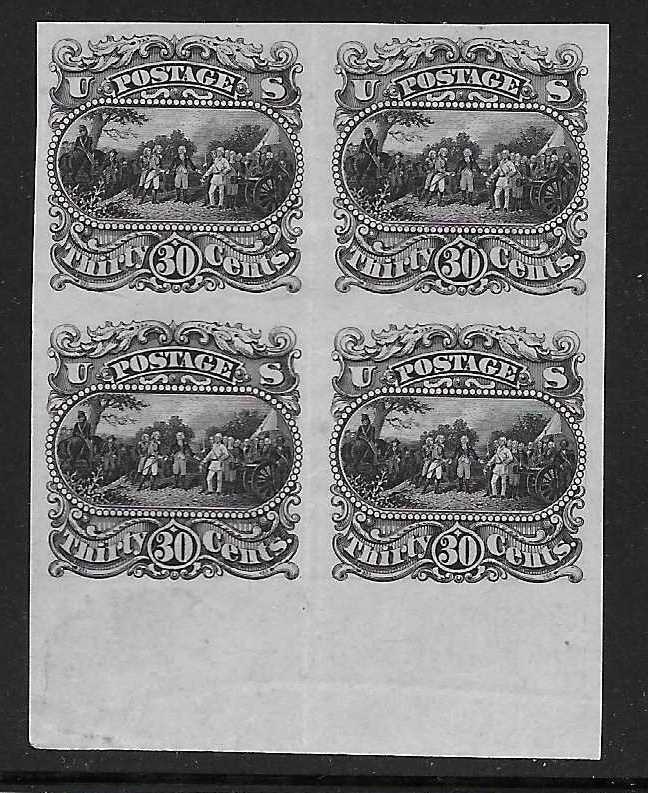 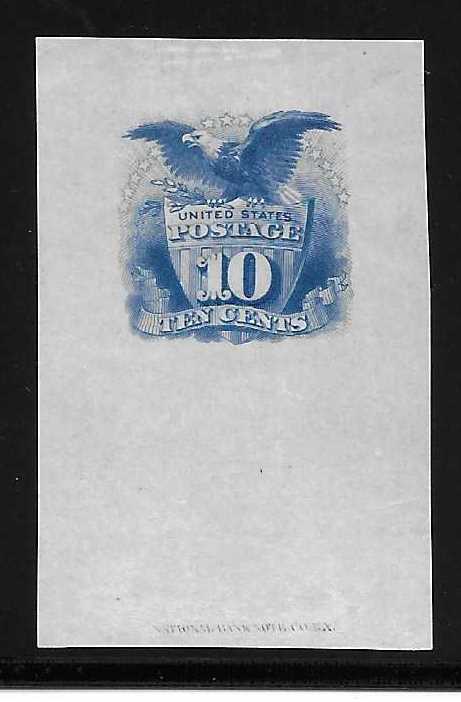 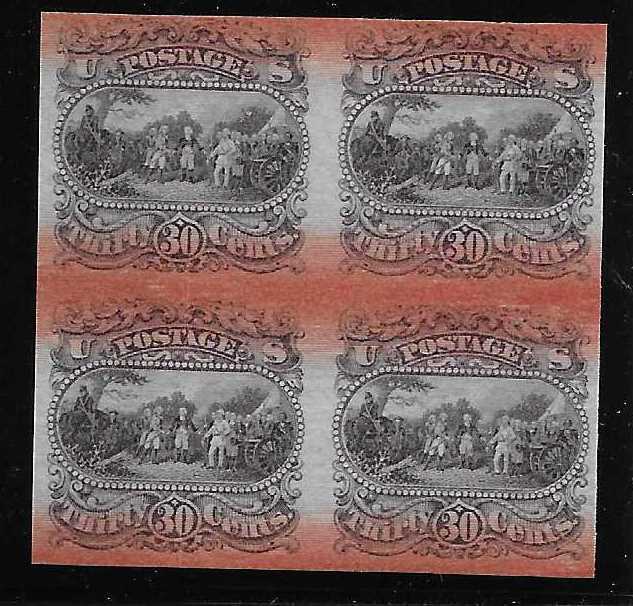 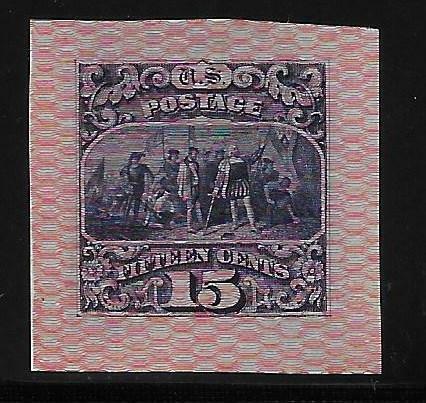 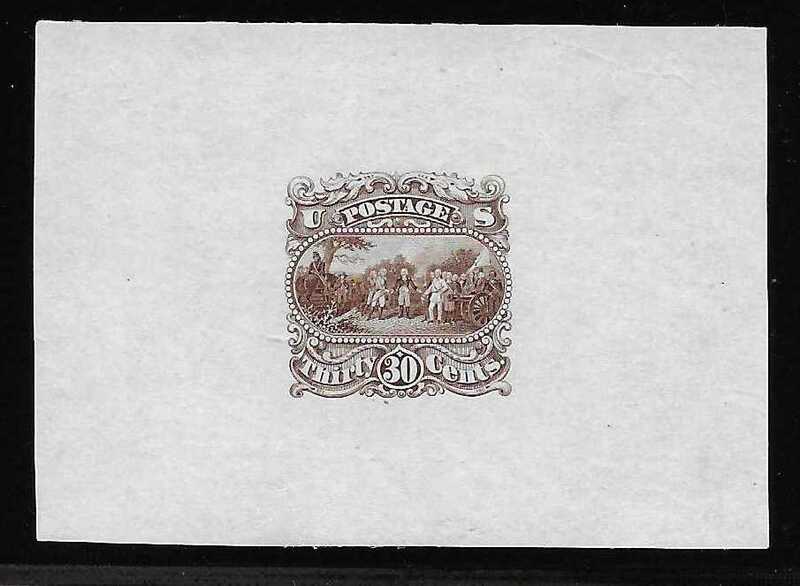 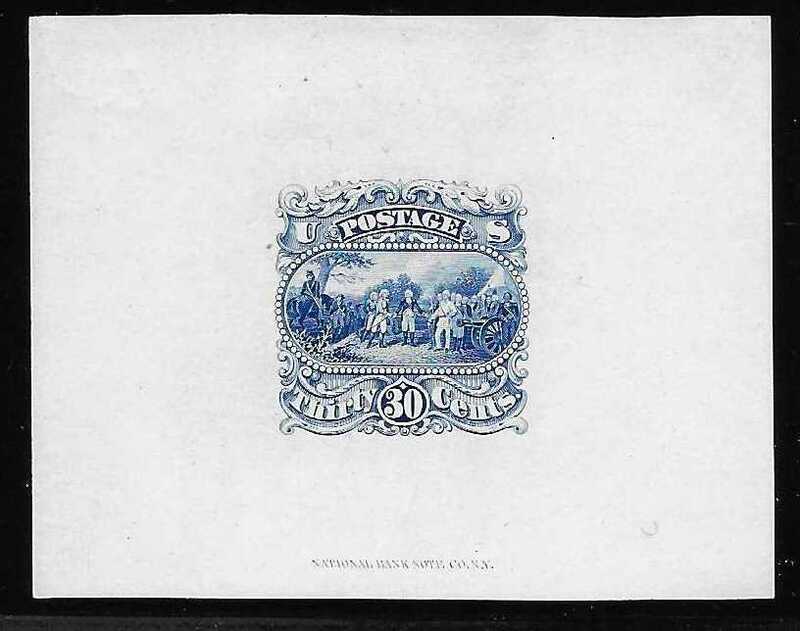 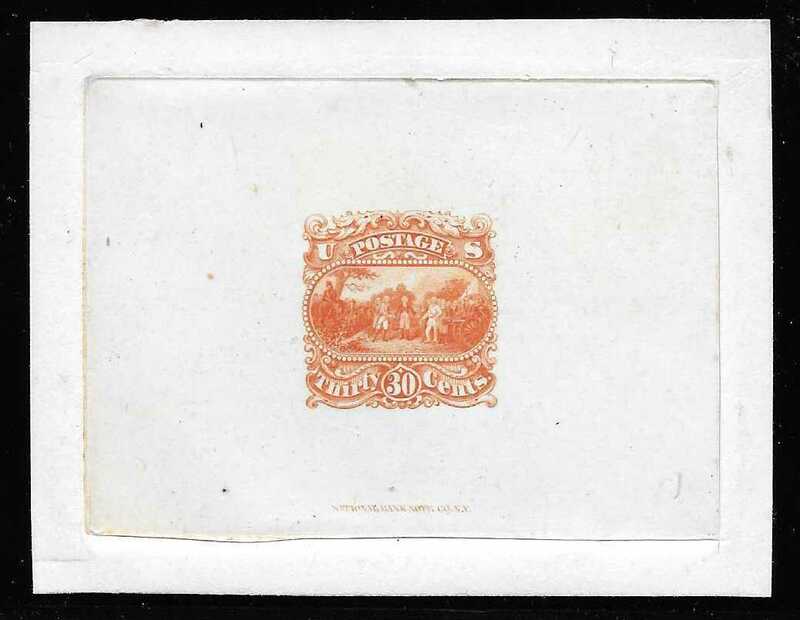 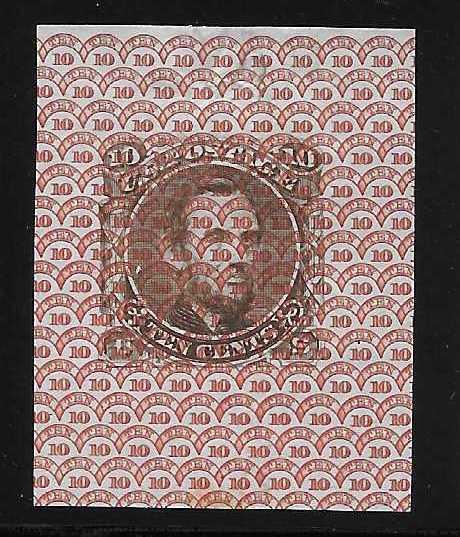 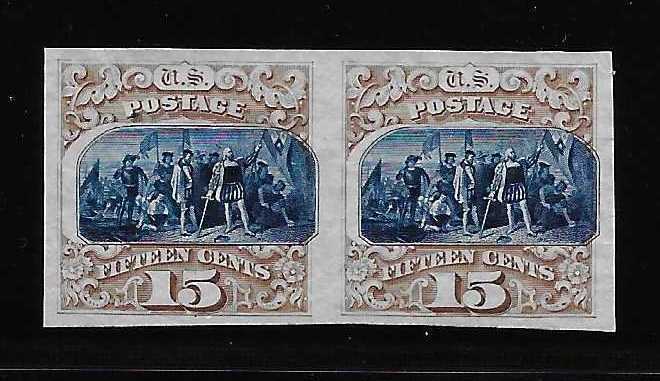 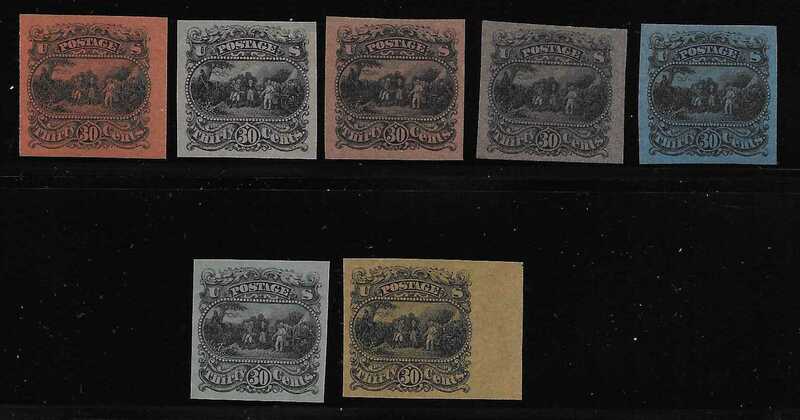 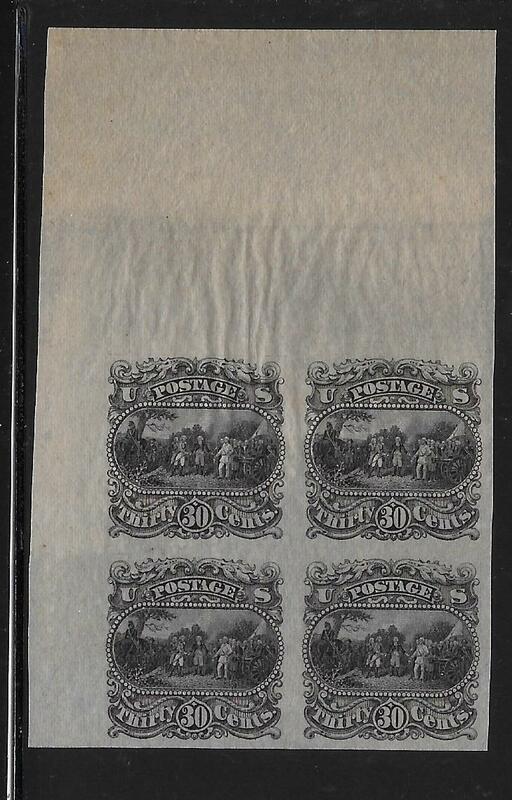 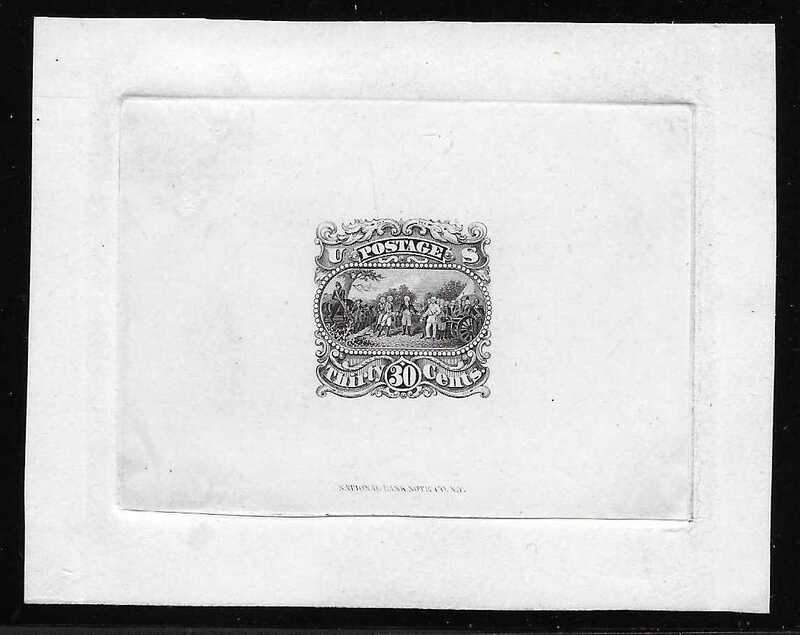 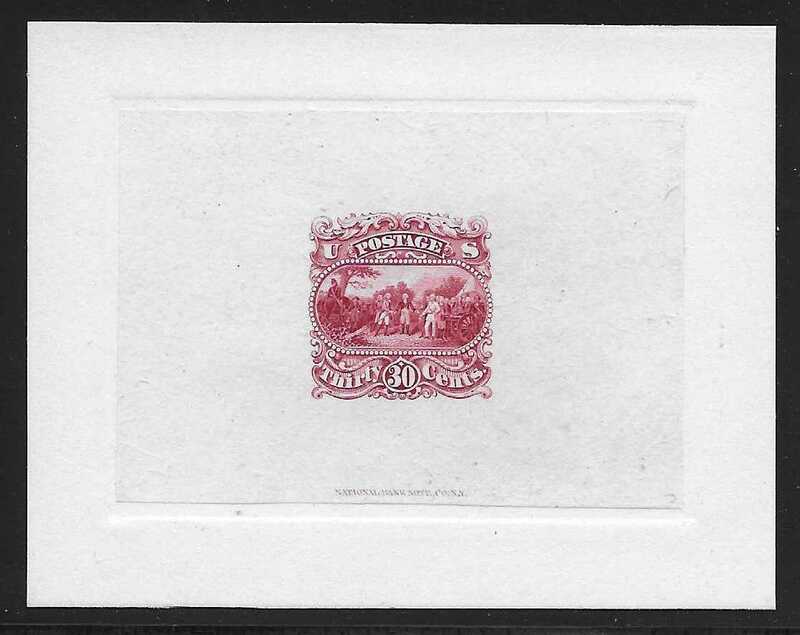 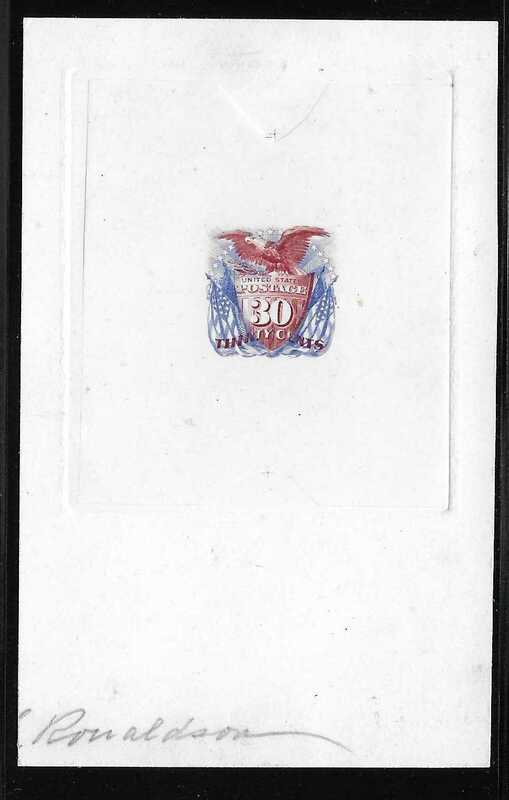 Sheets of all United States postage stamps from 1847 through the bank note issues, postage dues, newspaper and periodical, and the departments were prepared in five colors on card board for the Atlanta International Cotton Exposition in 1881. 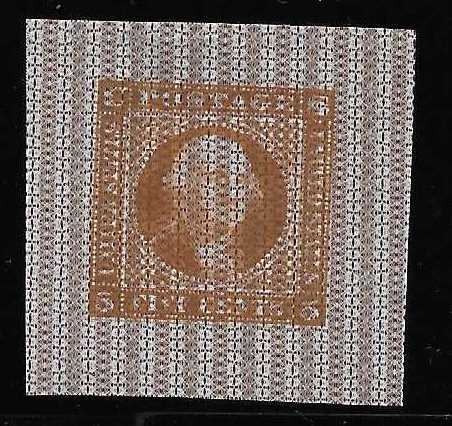 The sheets were somehow acquired by James A. Petrie, MD, of Phillipsburg, New Jersey at the close of the exposition. 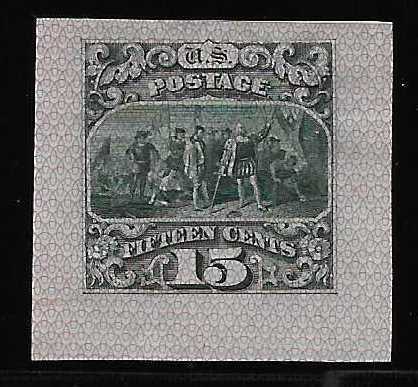 Petrie claimed that he rescued them before they were to be burned. 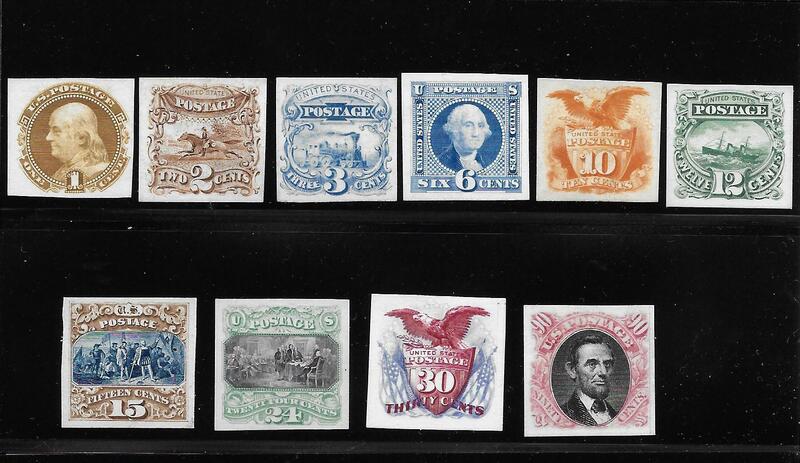 For some years he tried to sell his find and found no takers. 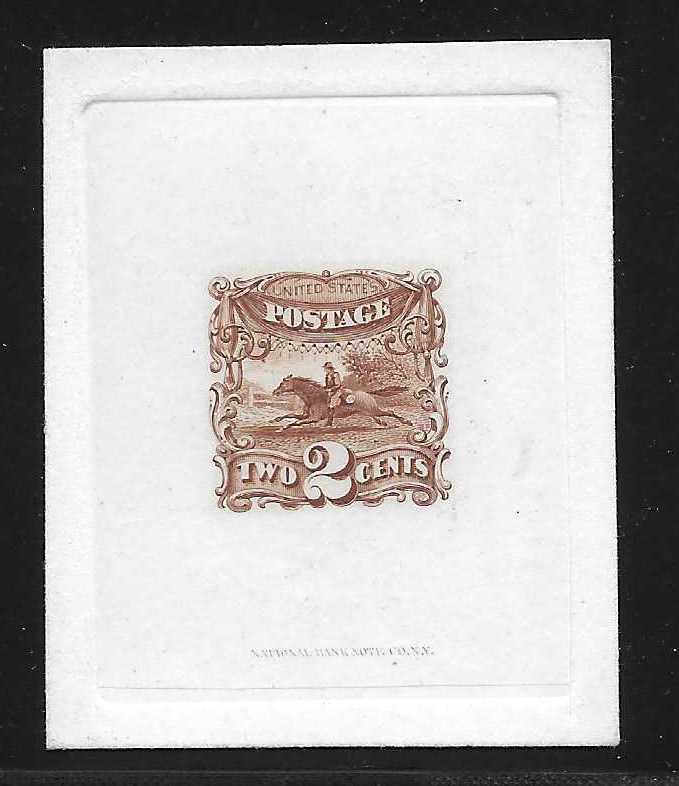 In 1895 he began to advertise them in the philatelic press and again no takers. 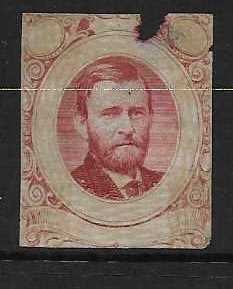 In 1903 he headed to England where he found a willing buyer in the Earl of Crawford. 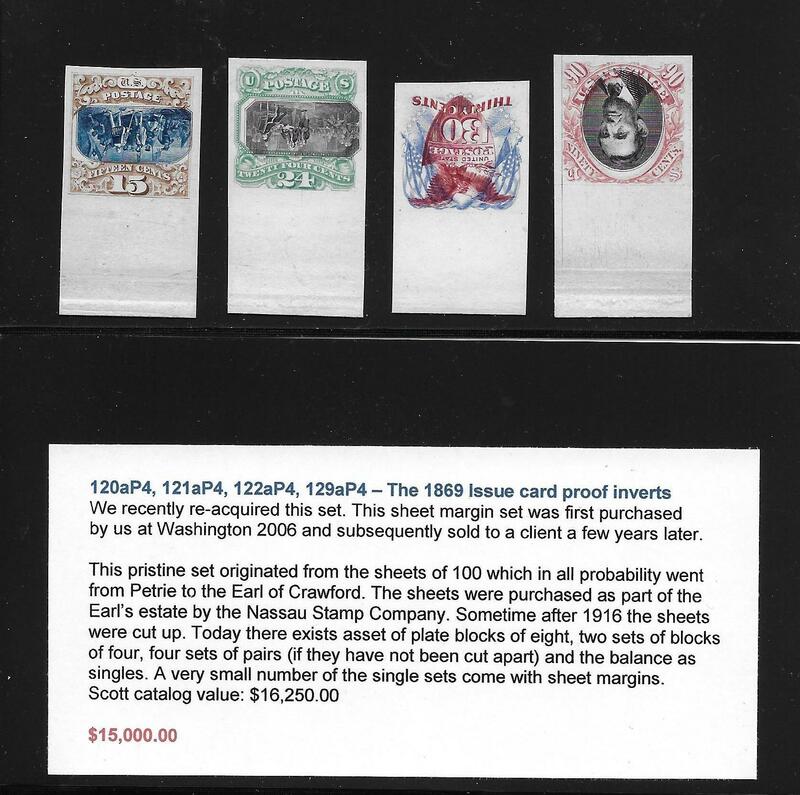 In November of 1915 the Earl�s collection was purchased by John Klemann of the Nassau Stamp Company in New York City. 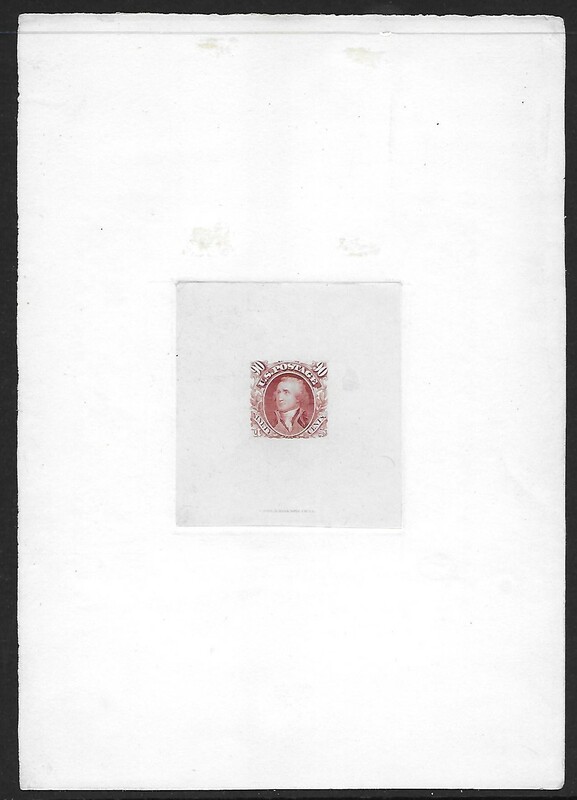 It was Klemann who eventually cut up the sheets. 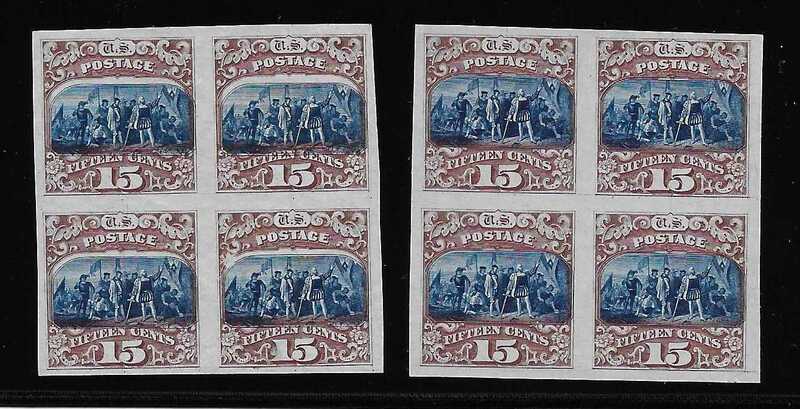 As the story goes, the sheets were cut into blocks of eight, two sets of blocks of four a few pairs, some singles.